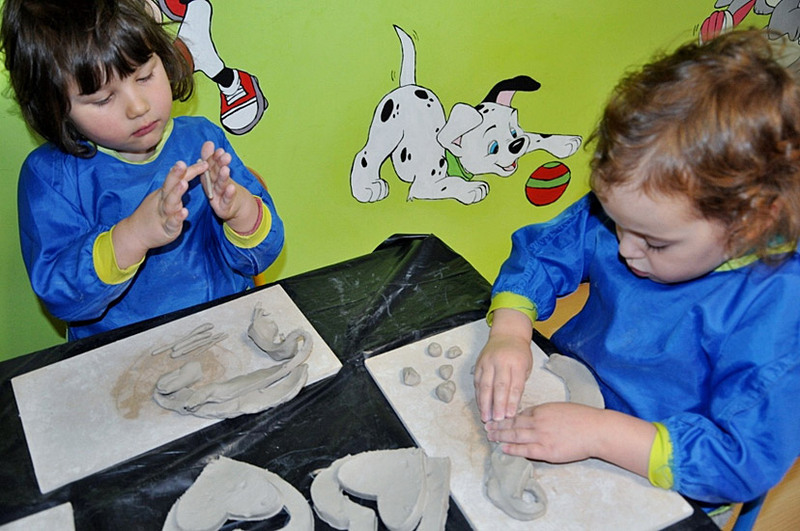 The following additional activities are included in the monthly fee: speech therapist’s activity, rehabilitation activity, music activity, ceramics activity. 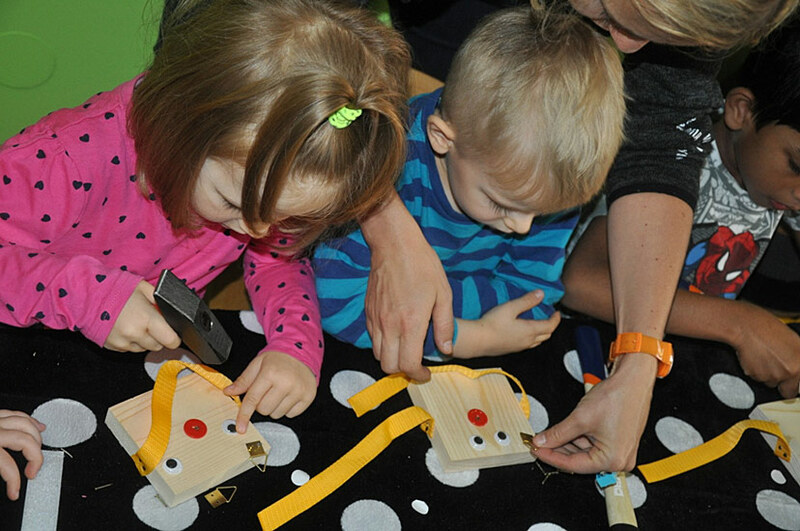 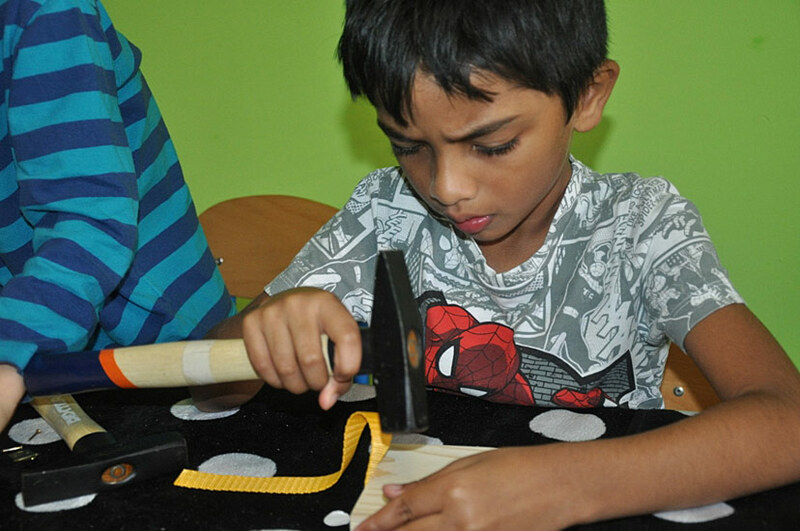 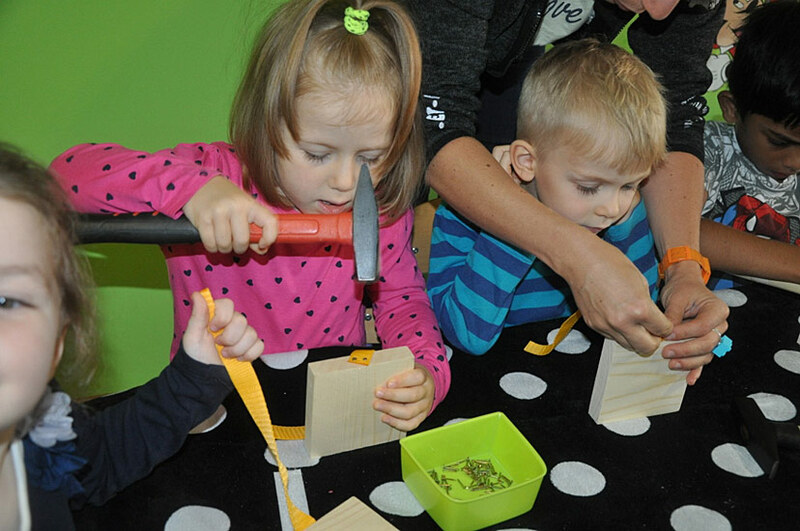 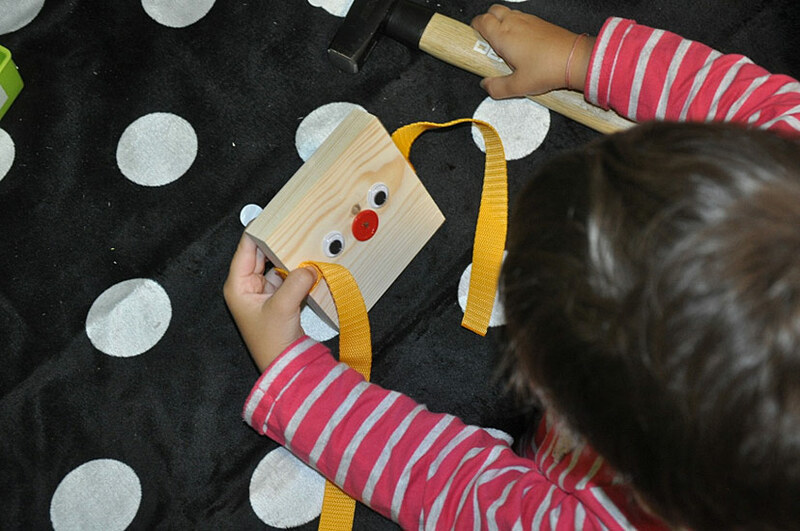 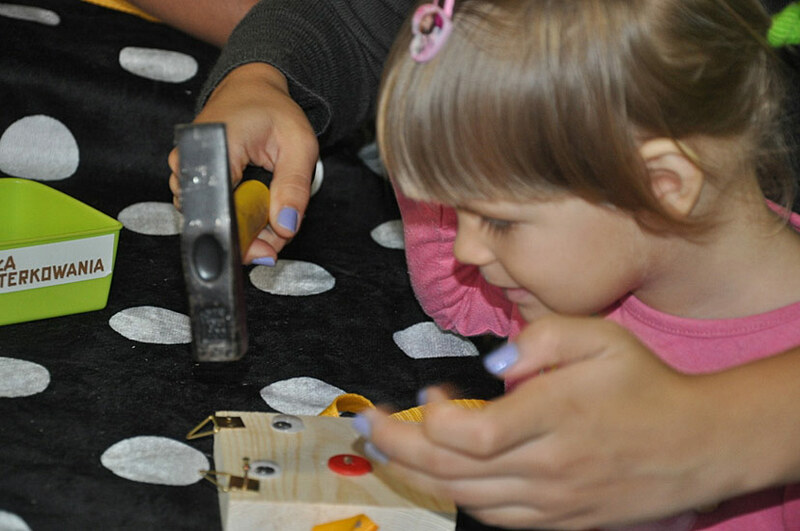 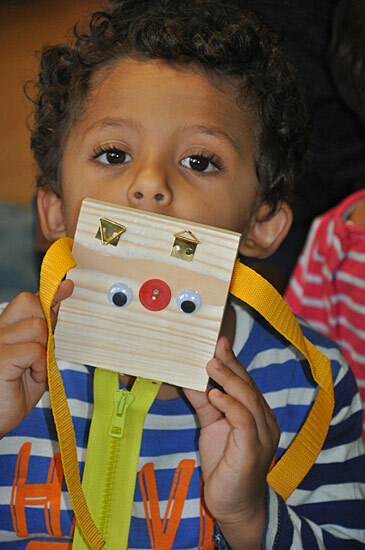 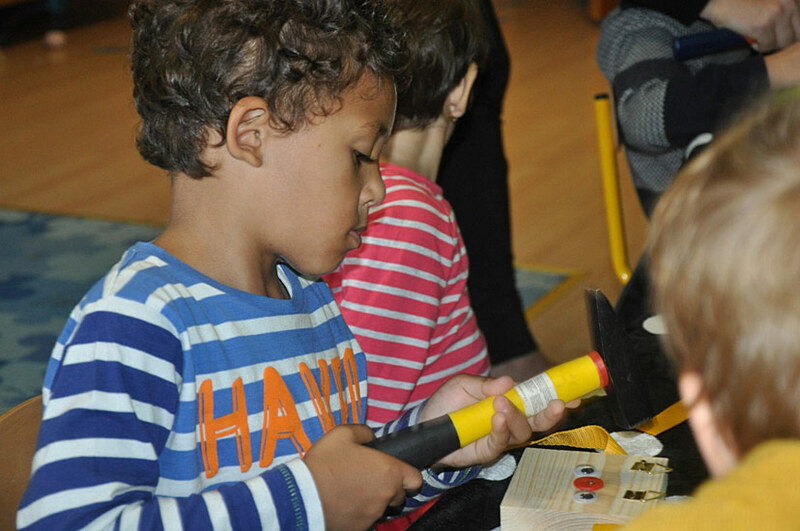 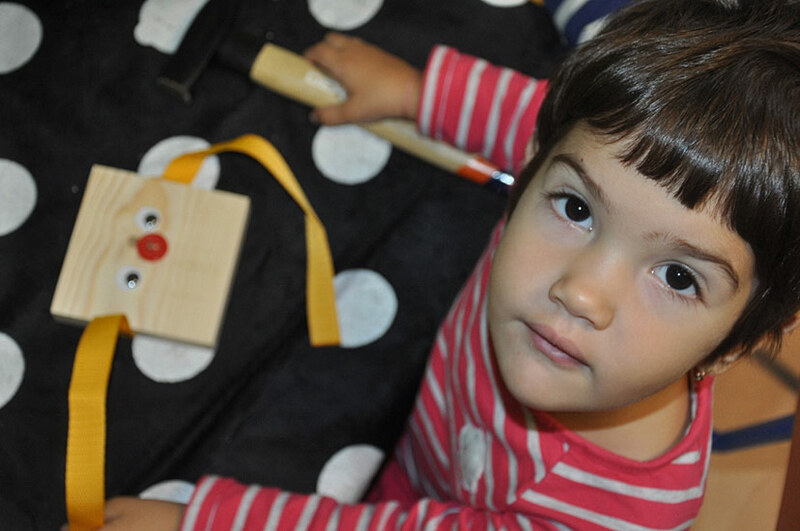 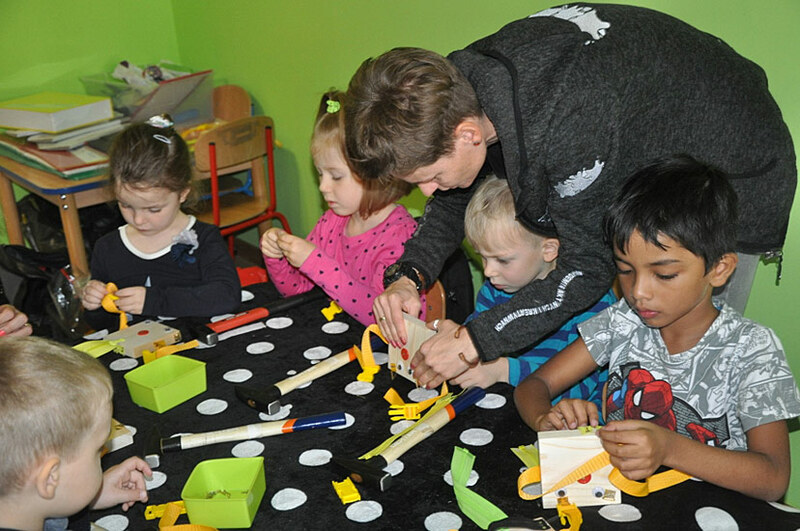 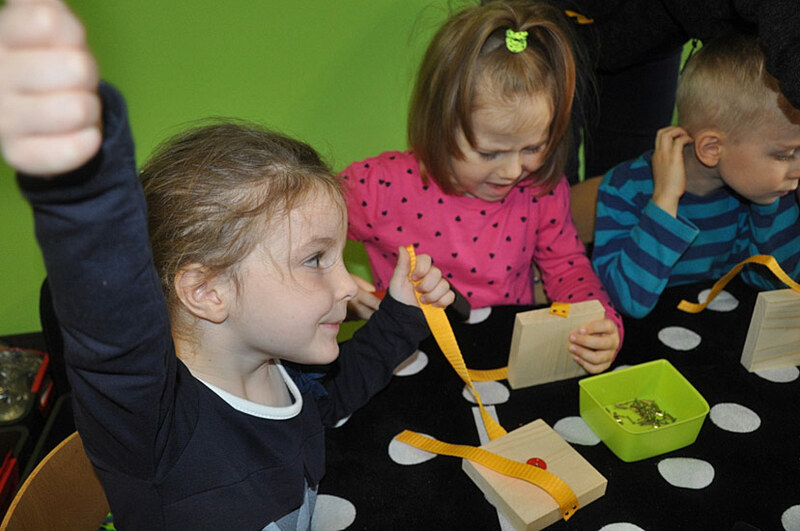 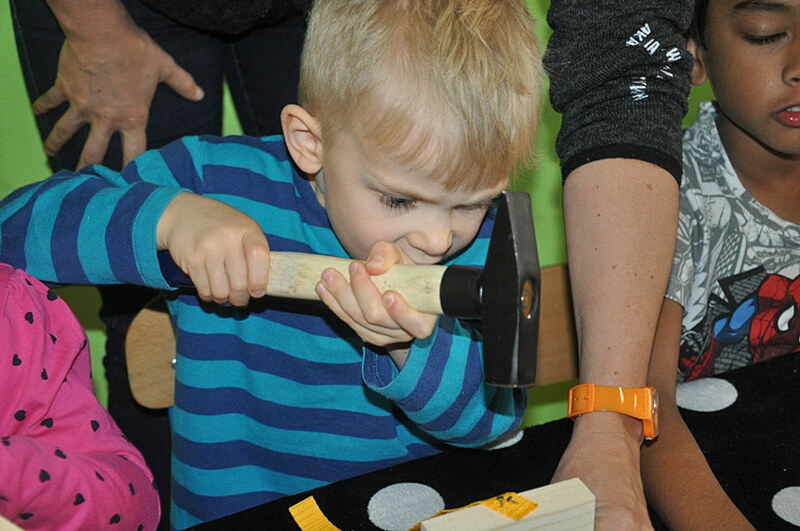 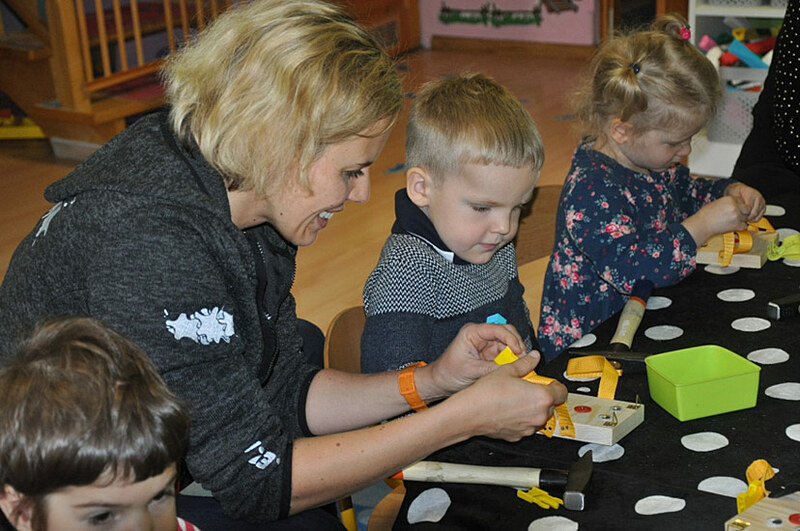 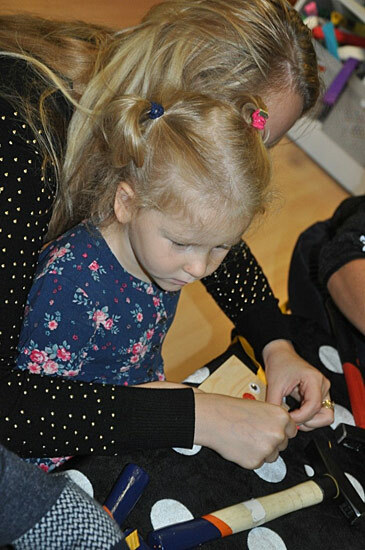 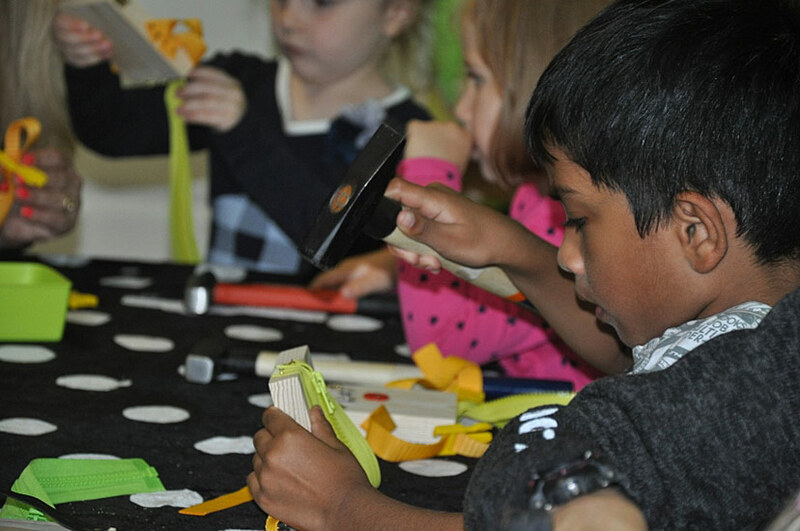 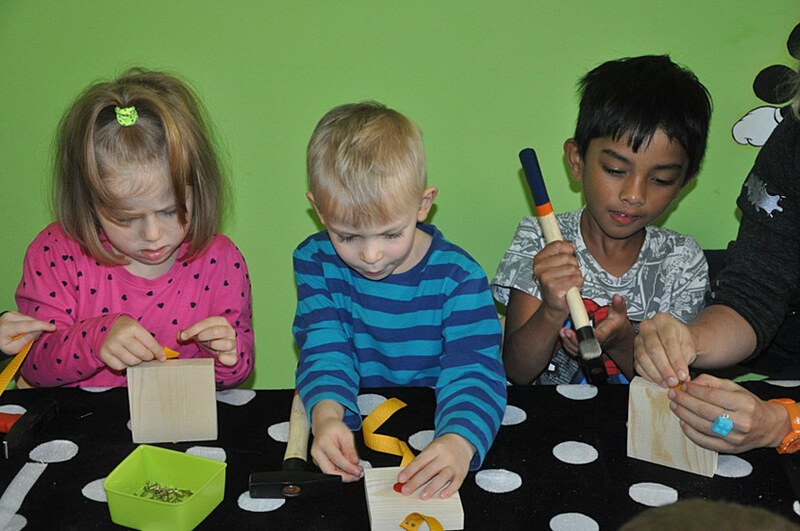 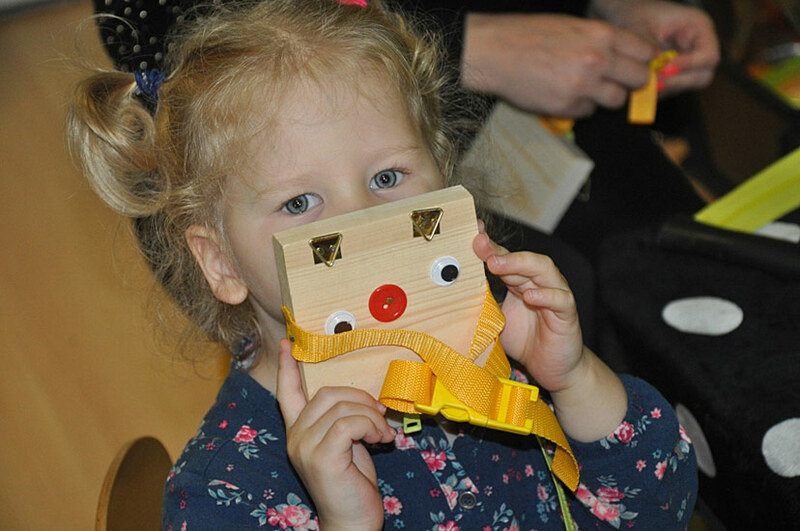 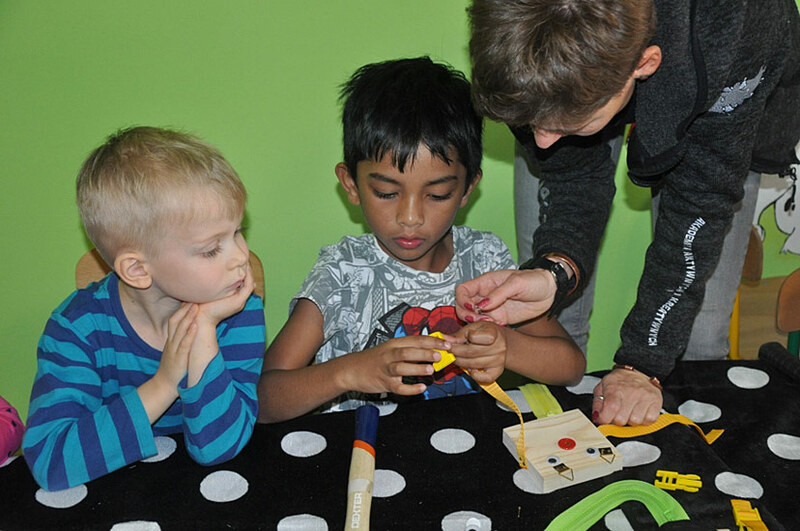 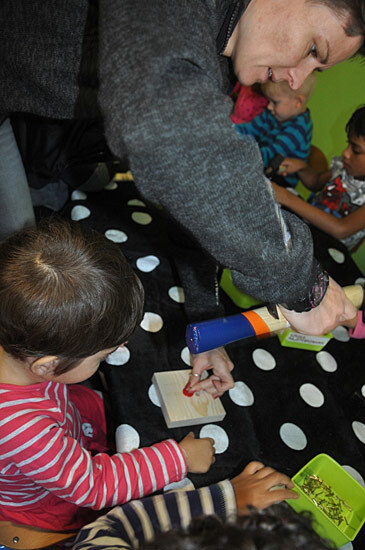 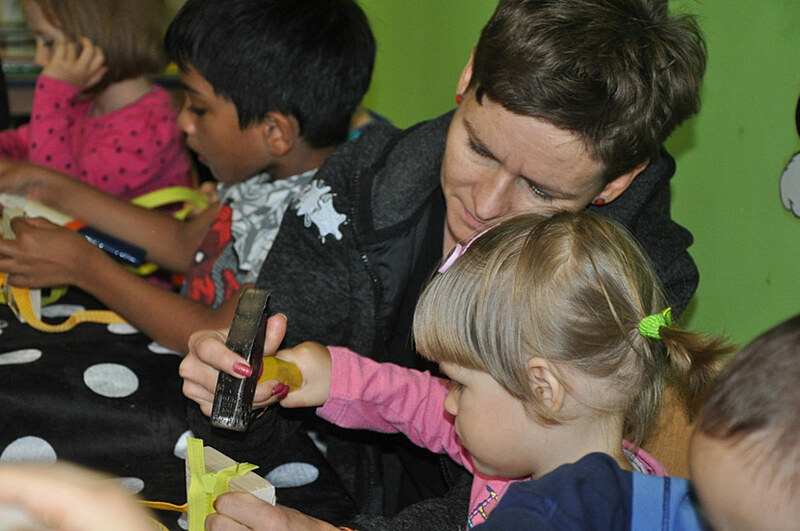 The Do It Yourself Workshops give the opportunity to the children to create their own toys, everyday use objects with the usage of real tools. 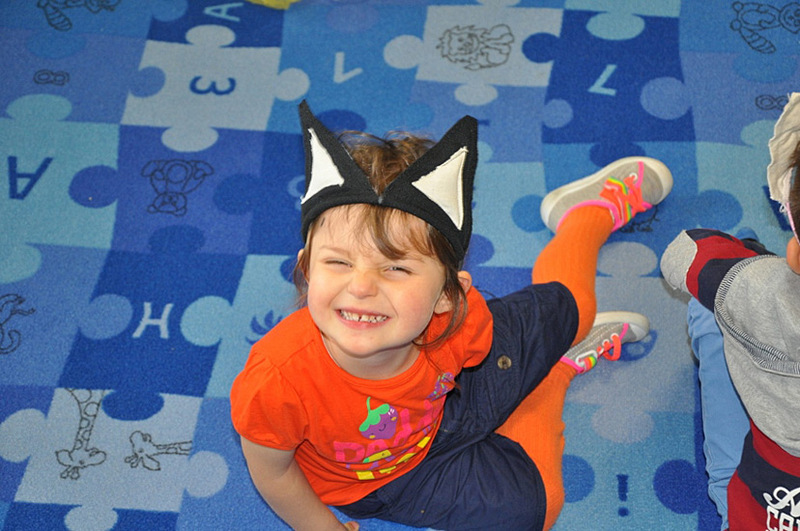 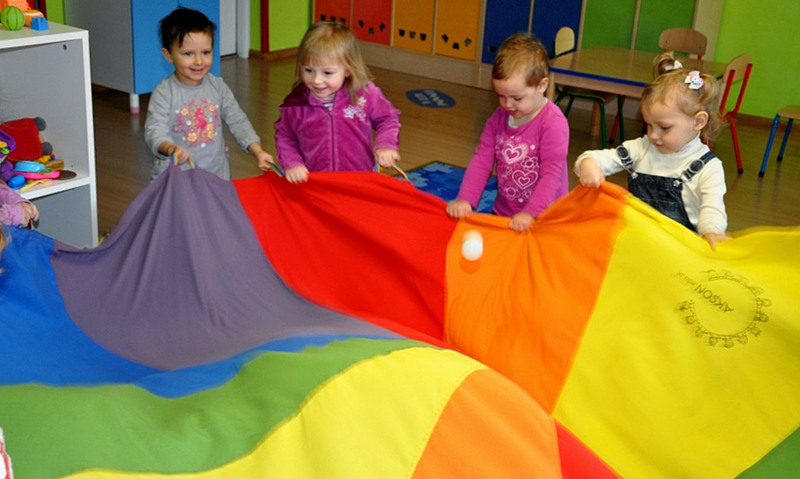 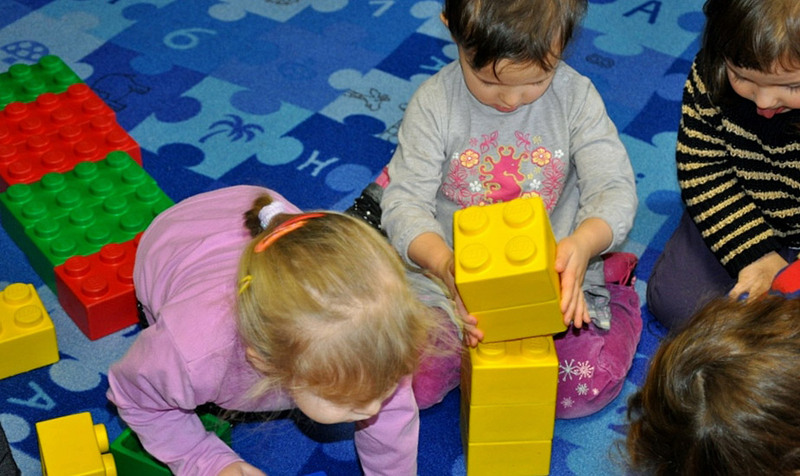 They help to develop their imagination and train the minor motor skills. 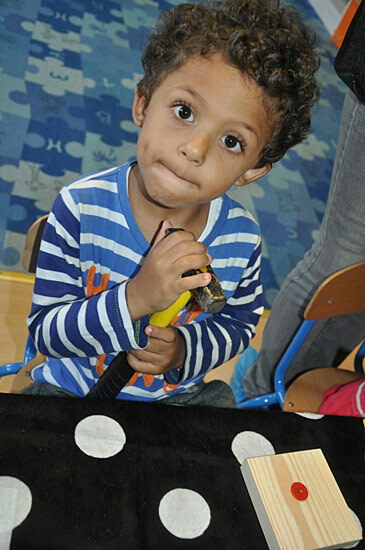 The workshops build the self-esteem of the child, help to discover new talent and to change them into assets. 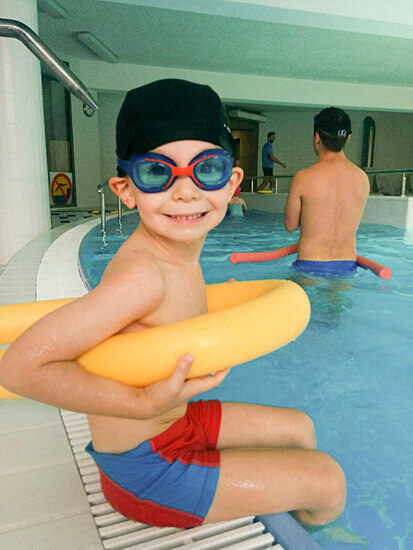 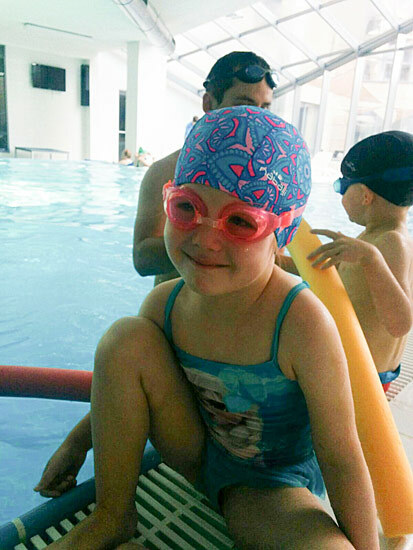 There are variety of reasons why your child should learn to swim. 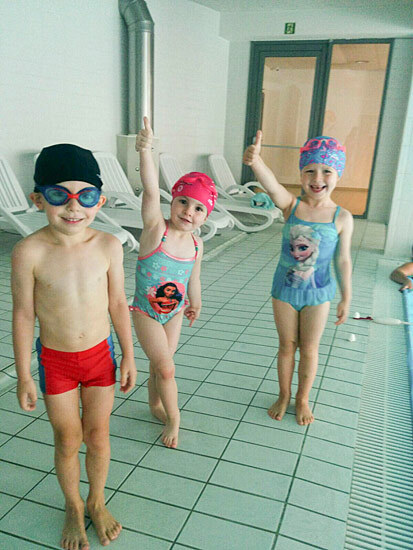 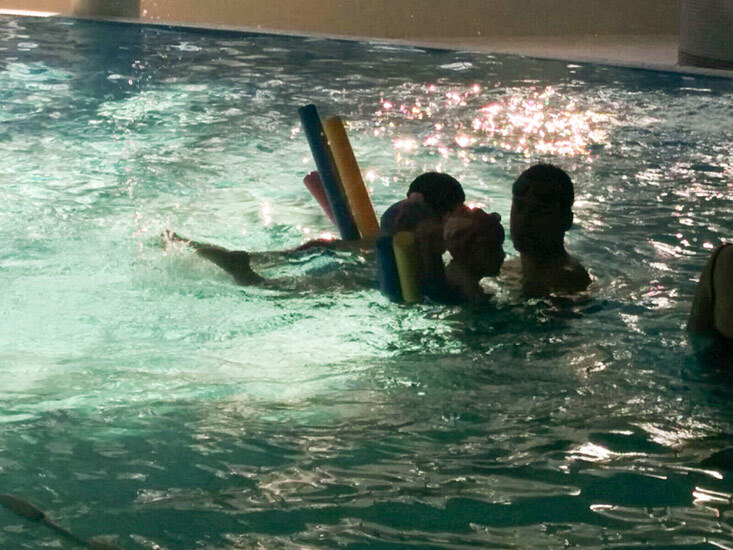 You need to give your child the chance to learn to swim. 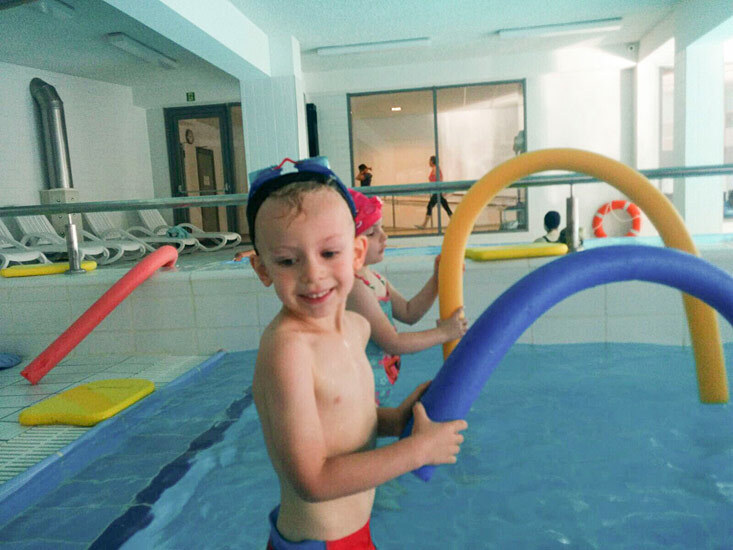 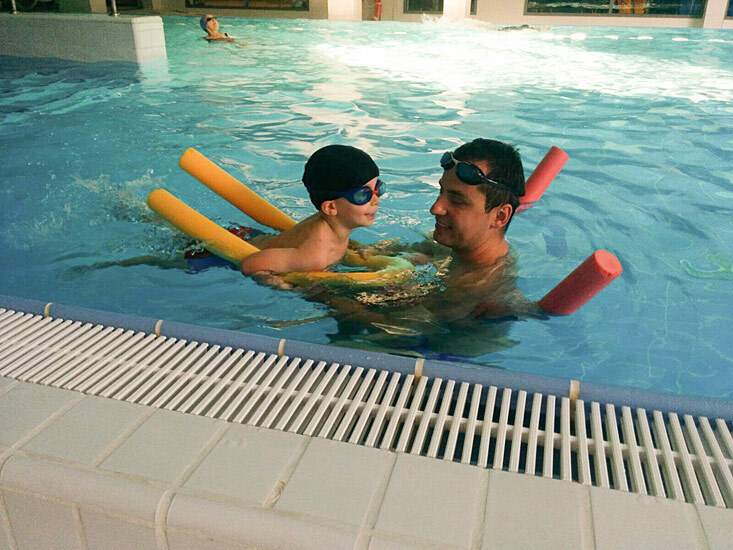 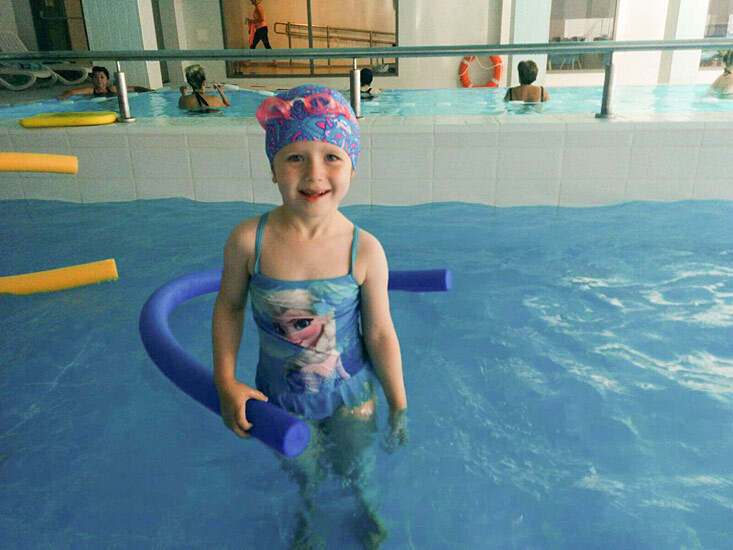 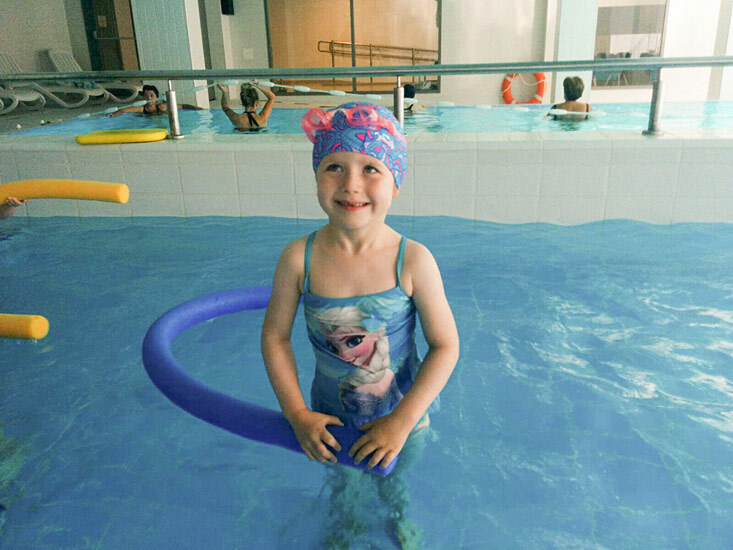 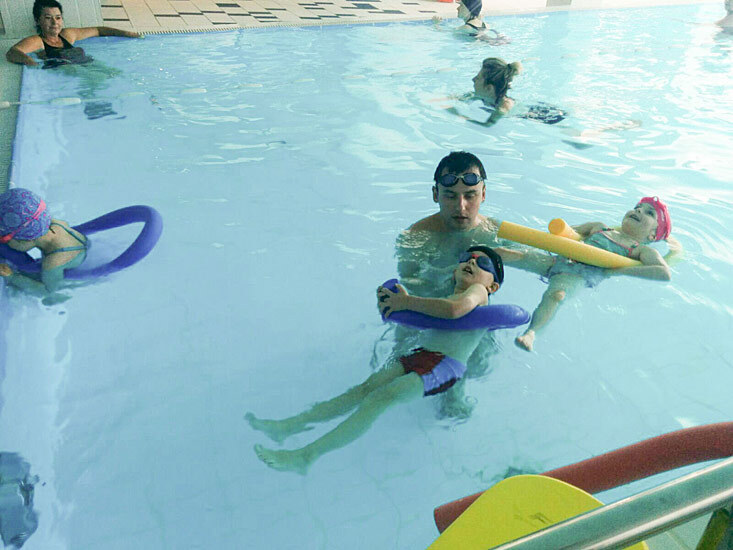 Swimming is lots of fun for people of all ages and children especially love getting in the water and enjoying themselves. 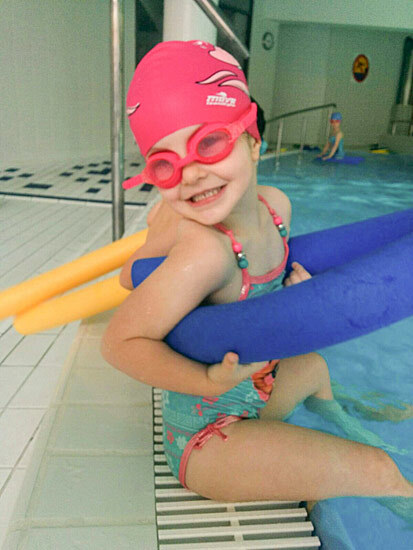 Swimming keeps your child’s heart and lungs healthy, improves strength and flexibility, increases stamina and even improves balance and posture. 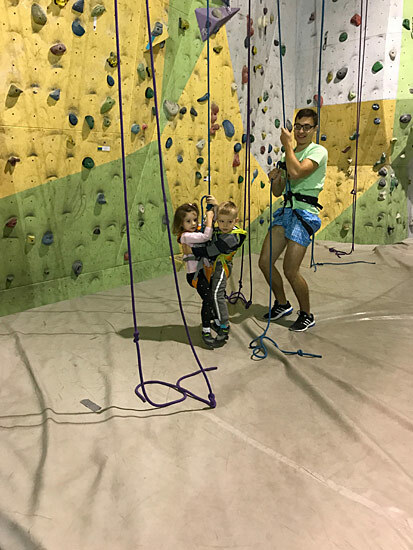 Rock Climbing is a versatile, physically demanding sport. 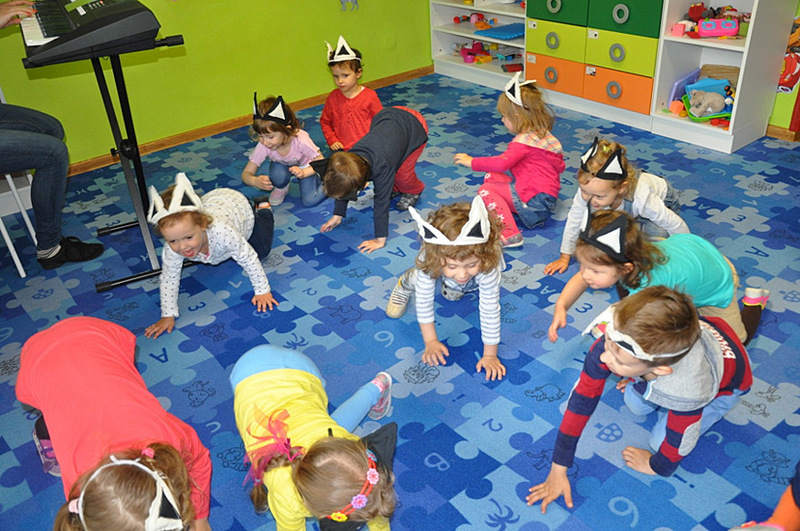 It improves coordination, agility, endurance and balance along with mental control and orientation in space. 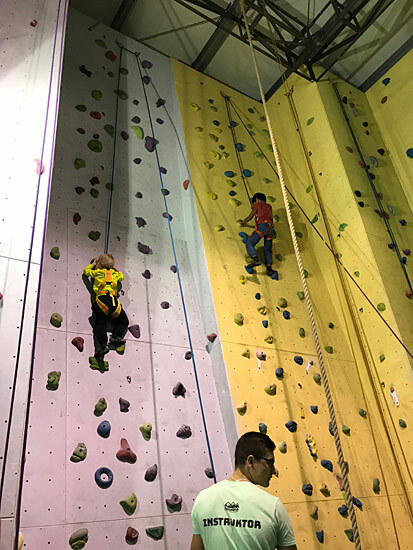 Rock climbing helps cope with anxiety, agoraphobia, postural defects and fallen arches. 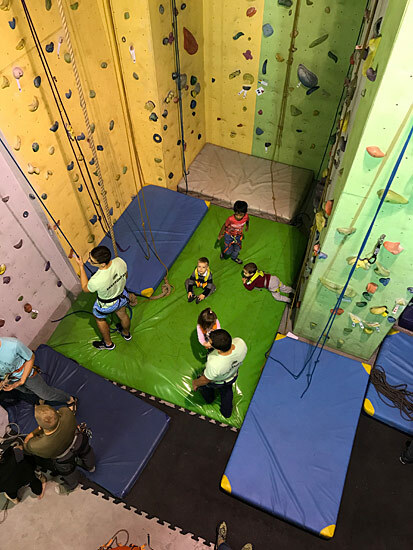 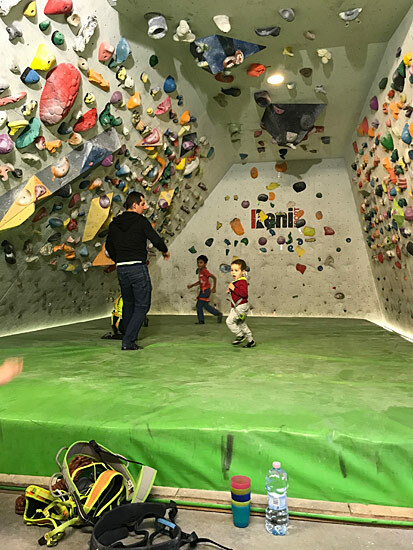 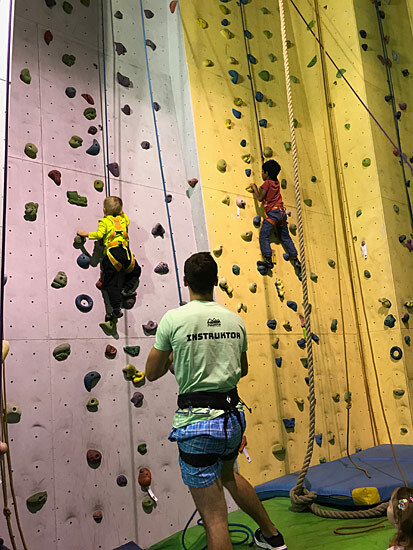 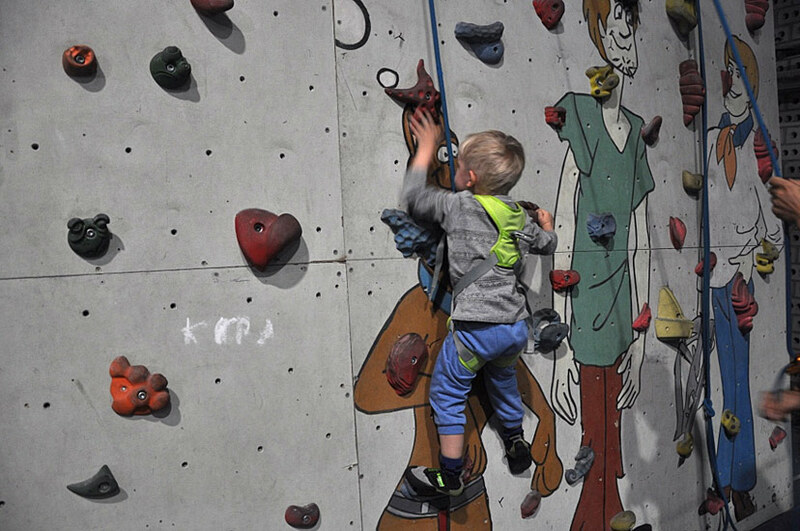 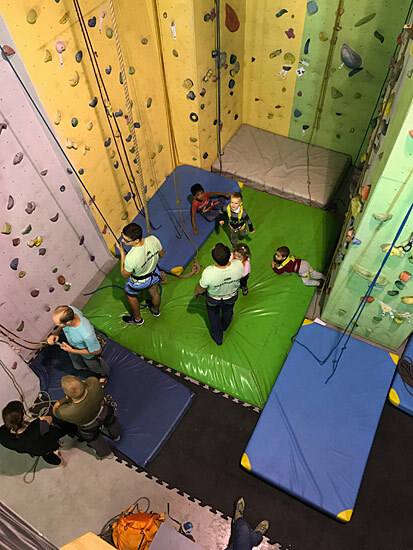 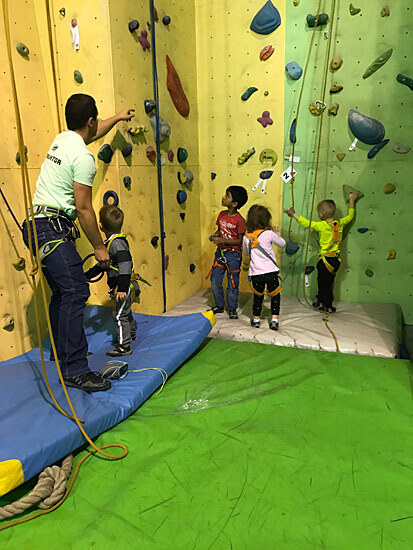 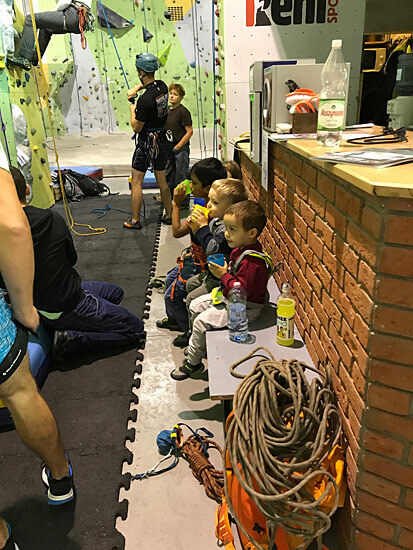 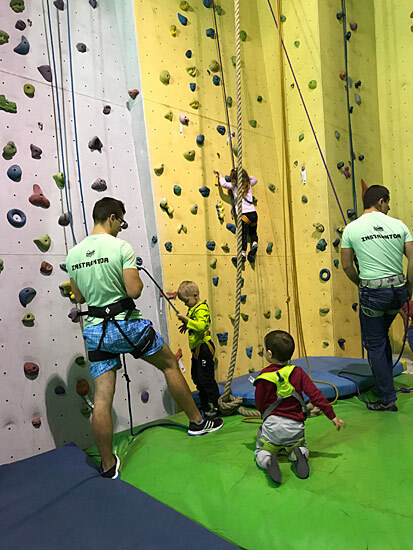 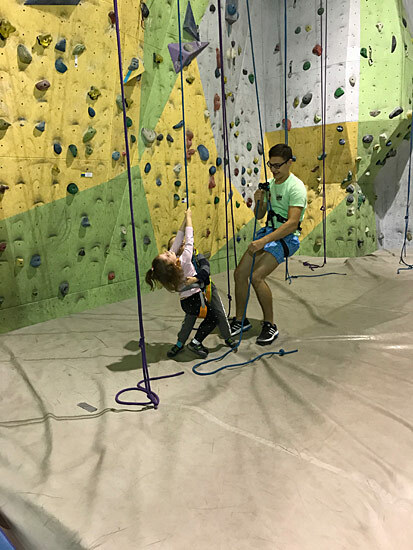 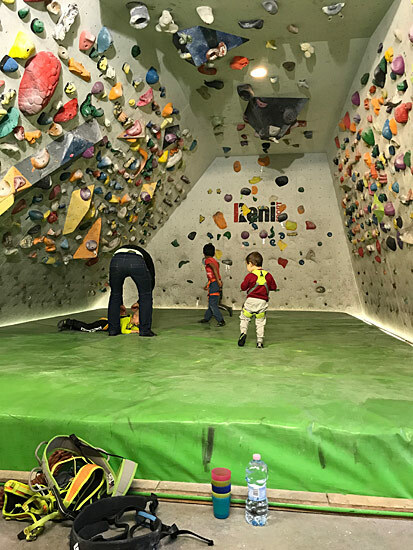 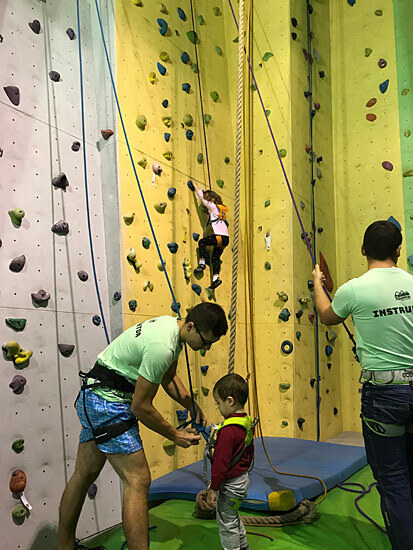 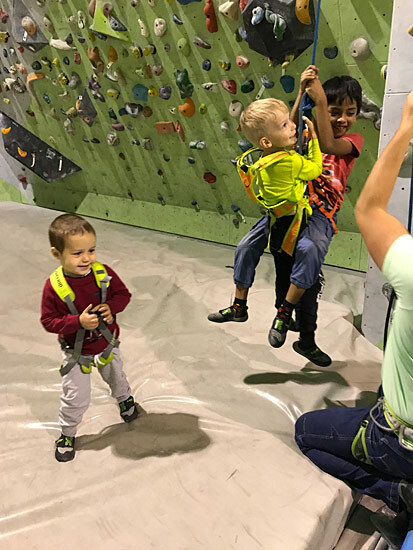 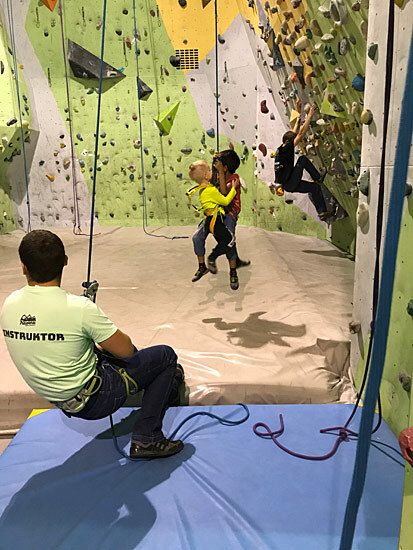 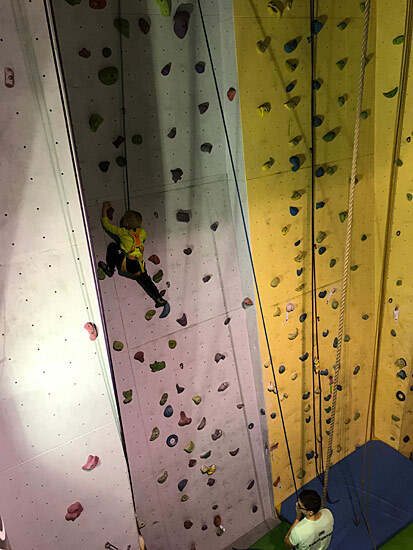 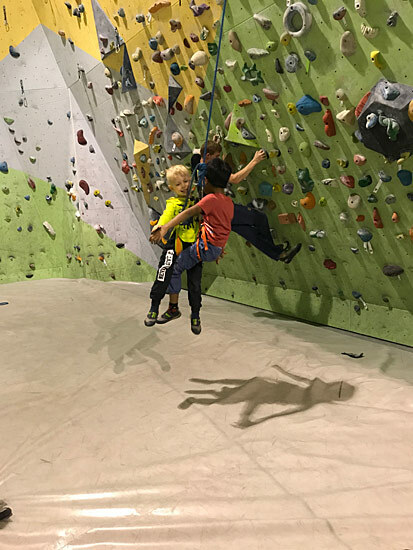 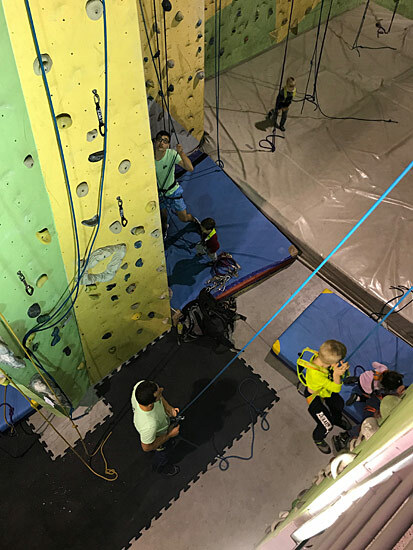 Being in a rock climbing group will let your child interact with other kids with similar interests. 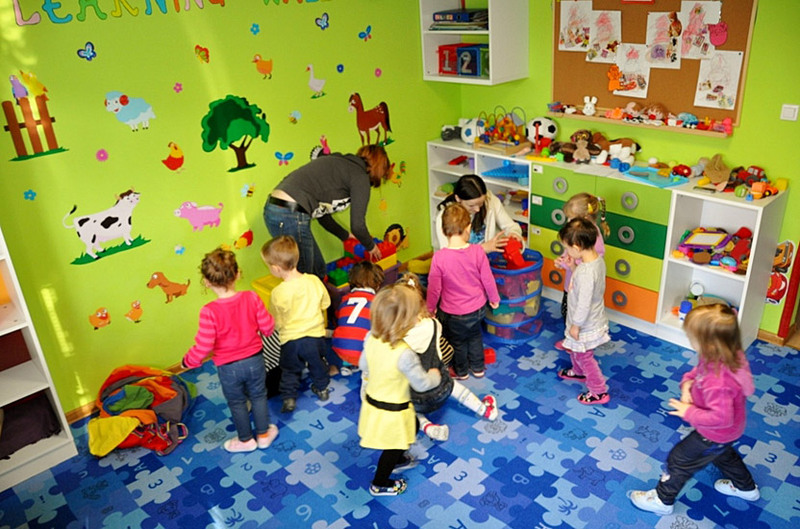 Your child will learn to socialize and work in groups. 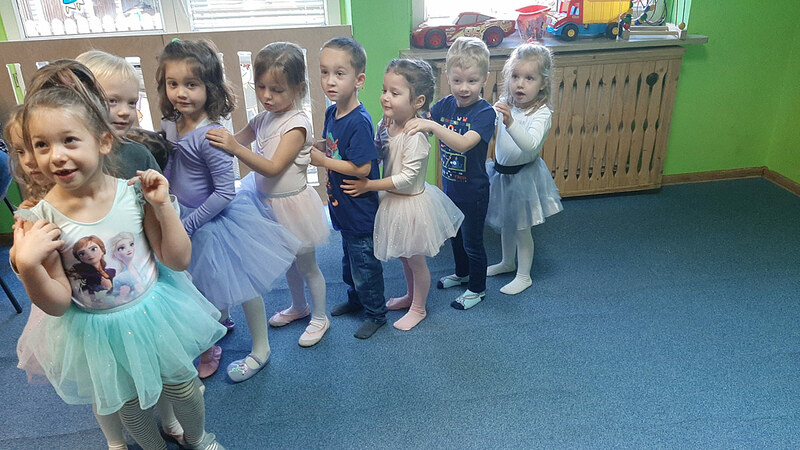 At Daisy International Preschool children can join the ballet classes. 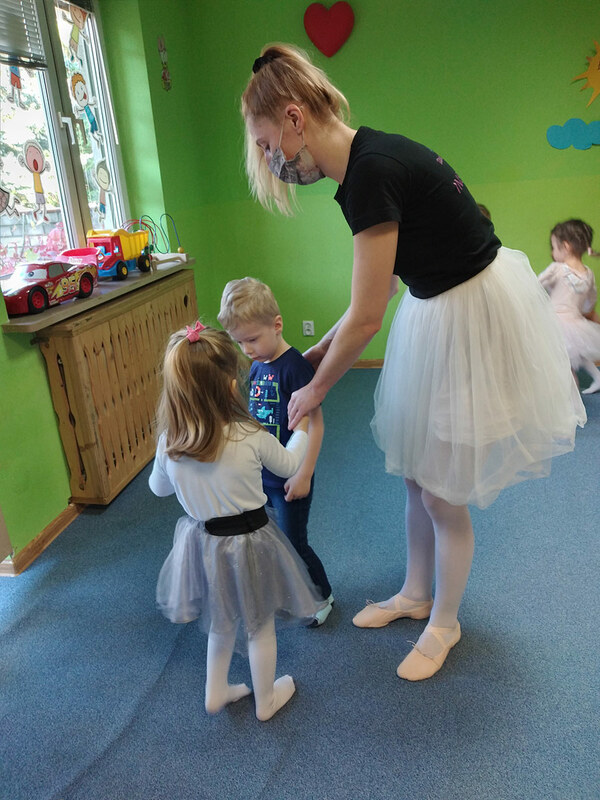 Ballet classes help in correcting bad posture, strengthen the mid - foot, teach the smoothness of movements and agility, improve the concentration. 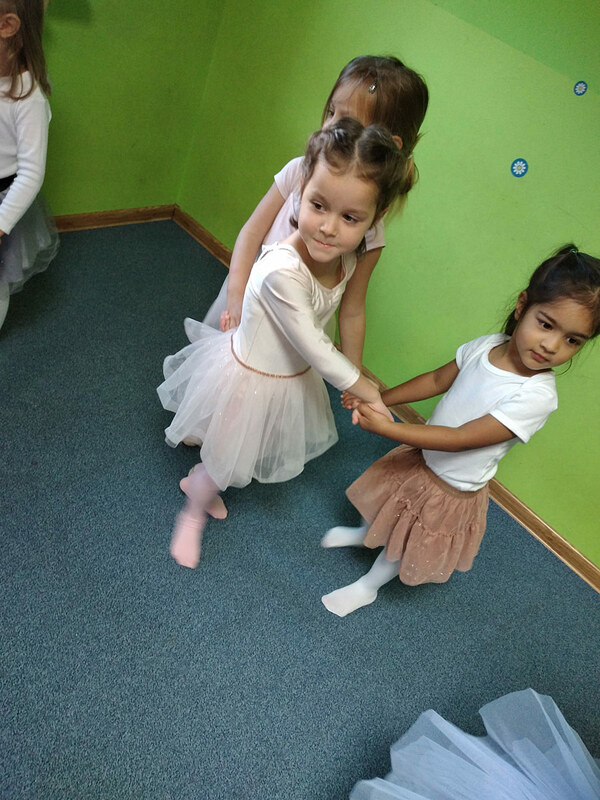 The ballet classes for children mean constant work over the body posture. 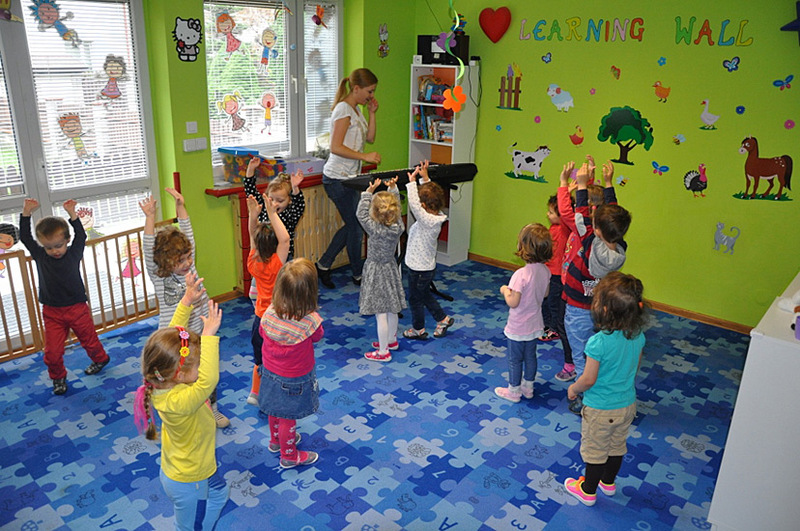 We start with the worm up of the body and feet, then going onto barre au sol – exercise that improves the flexibility and strengthen and stretch muscle groups and widen joints’ movement. 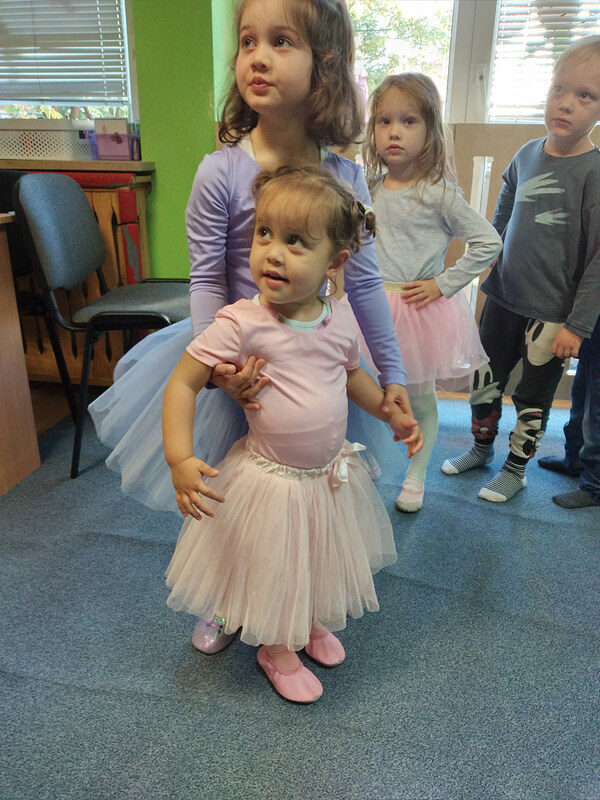 We practice the basic ballet postures and movement like: flex & point, demi plie, grand plie, battements tendus, releve, saute, reverence. 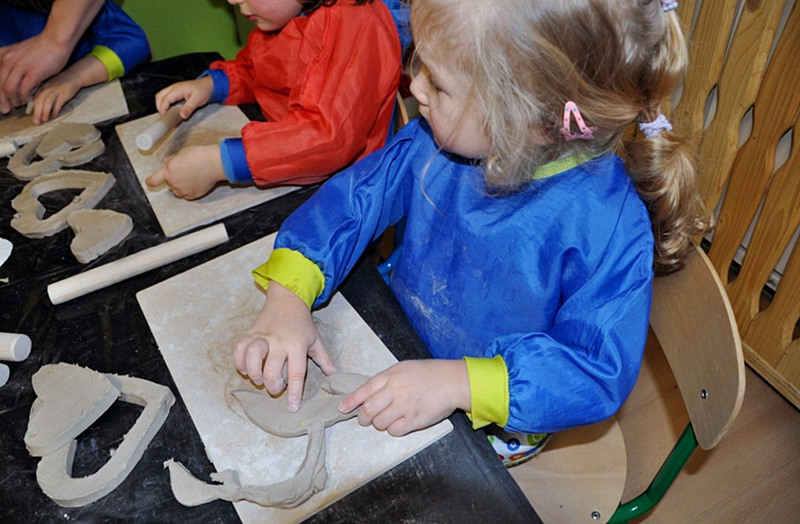 Letting the children try and develop their creativity is one of the best ways to prepare them to live in the modern world. 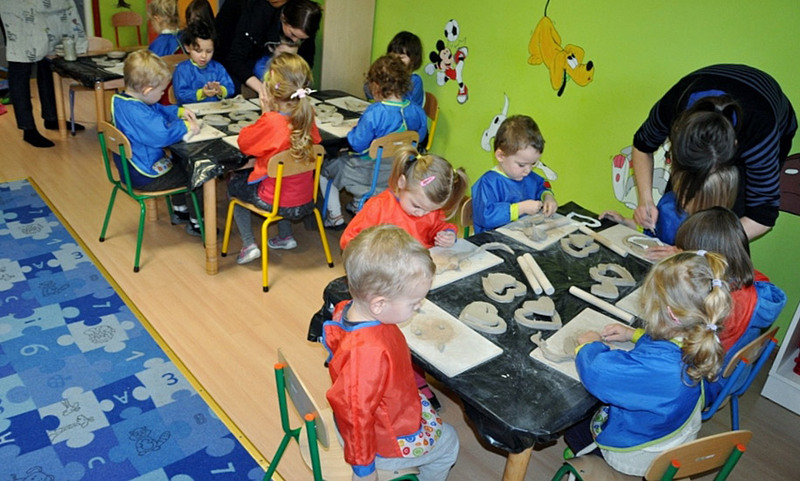 The artistic activities increase the curiosity towards the world, boosts up the self esteem and imagination. 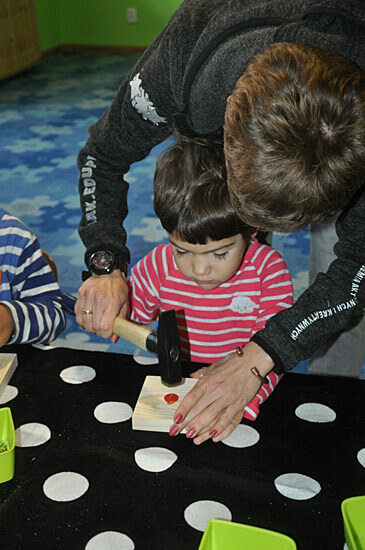 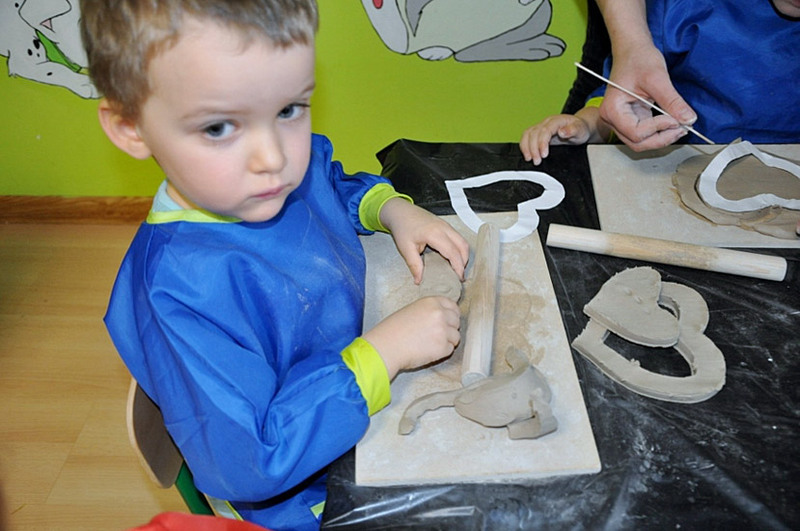 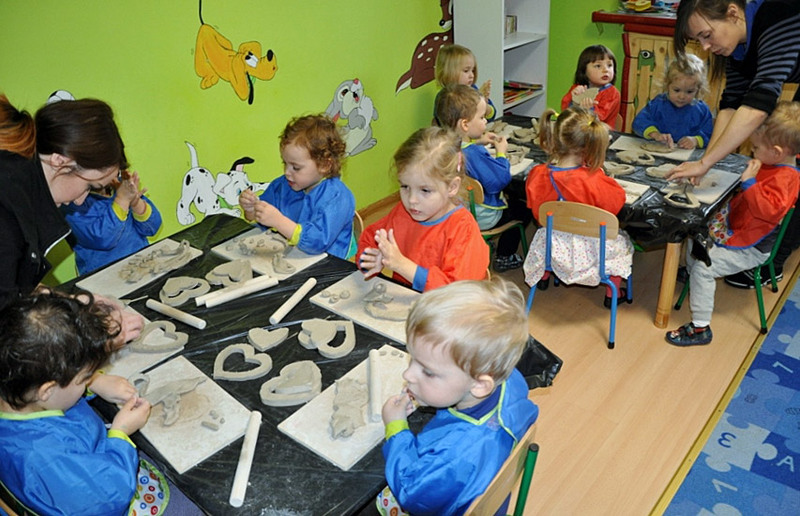 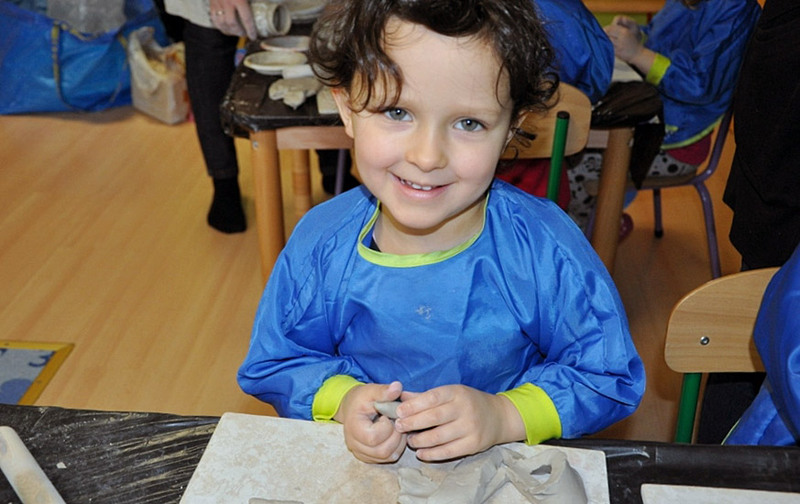 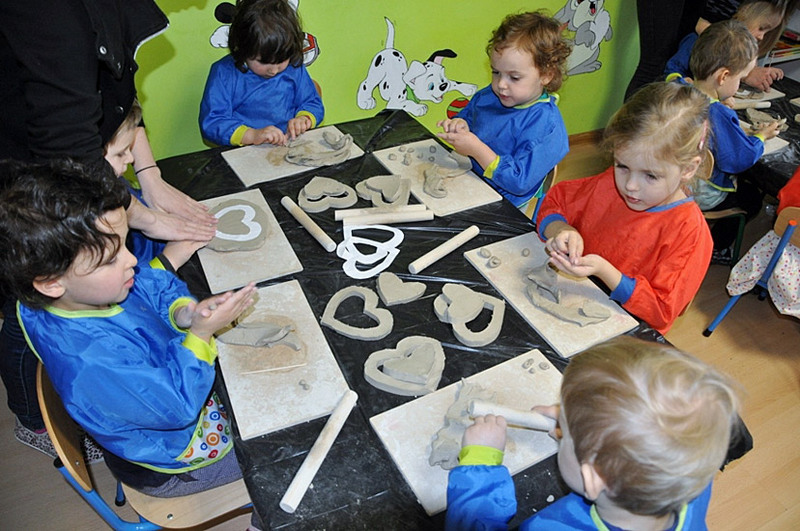 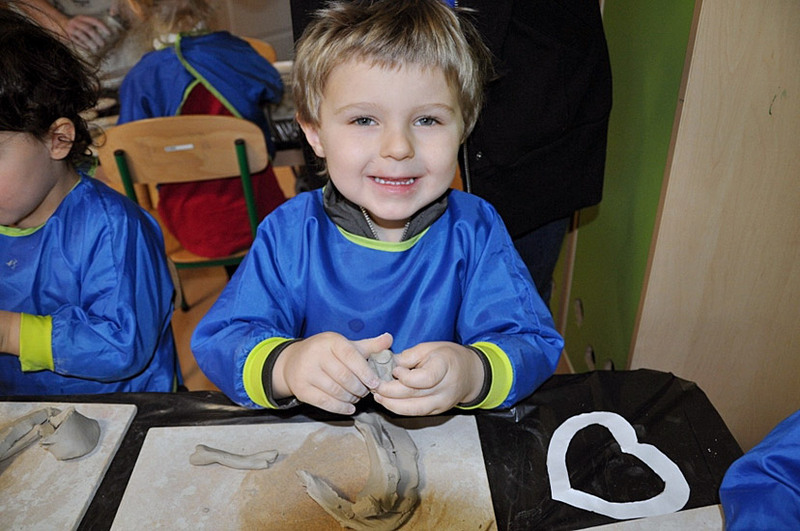 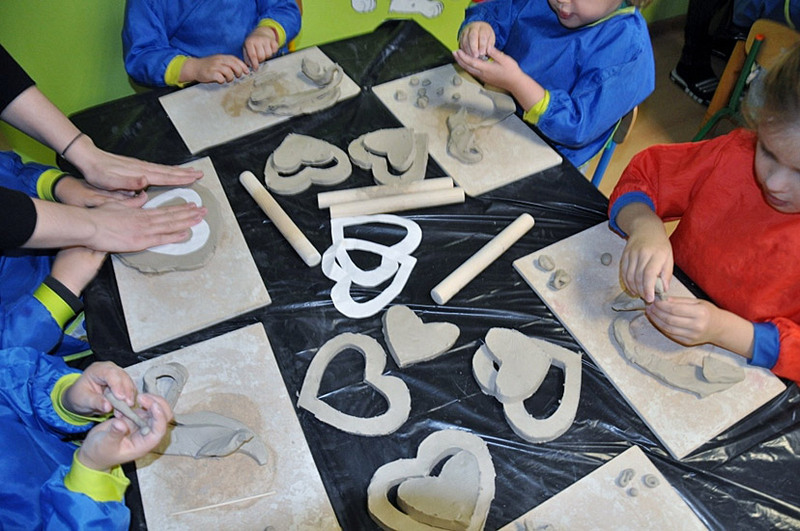 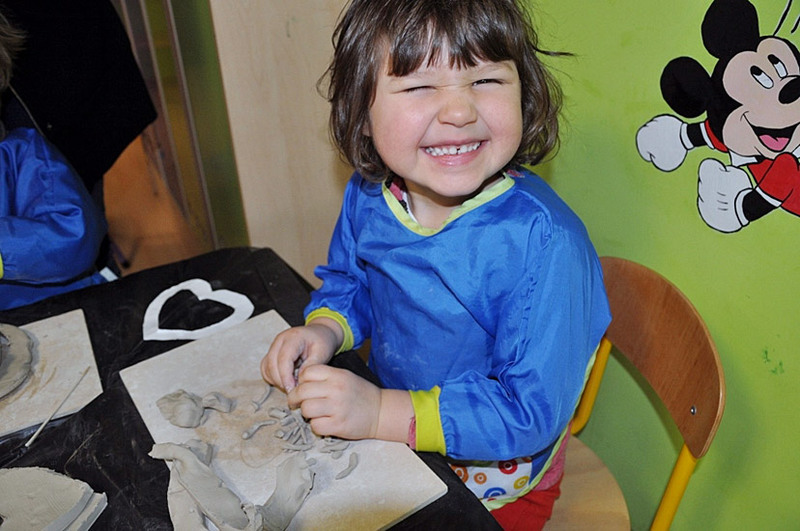 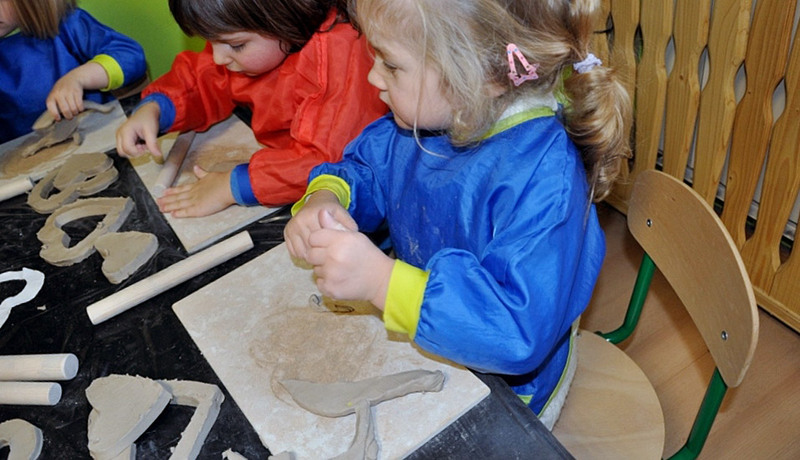 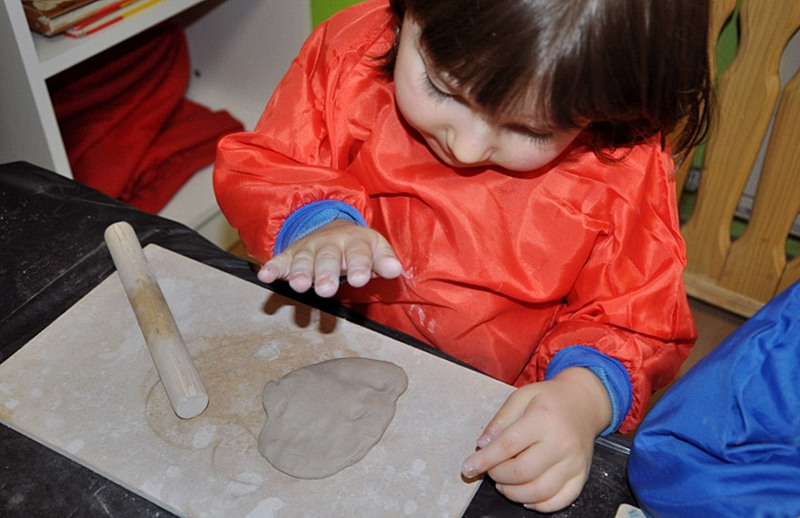 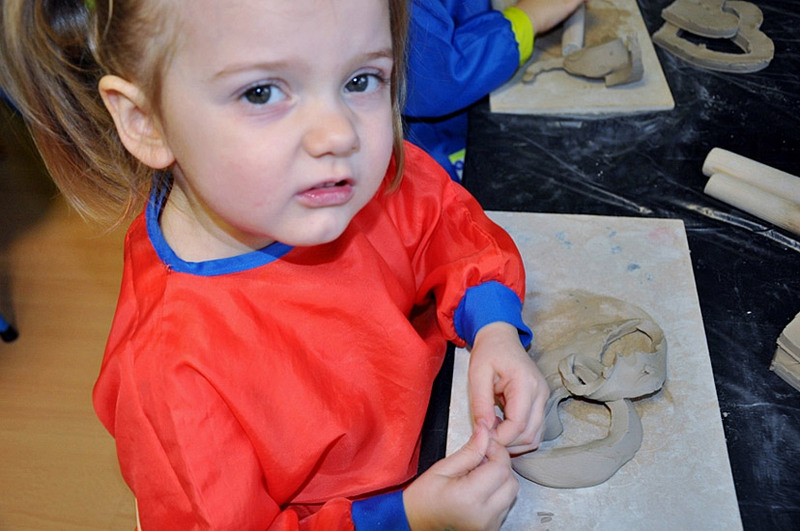 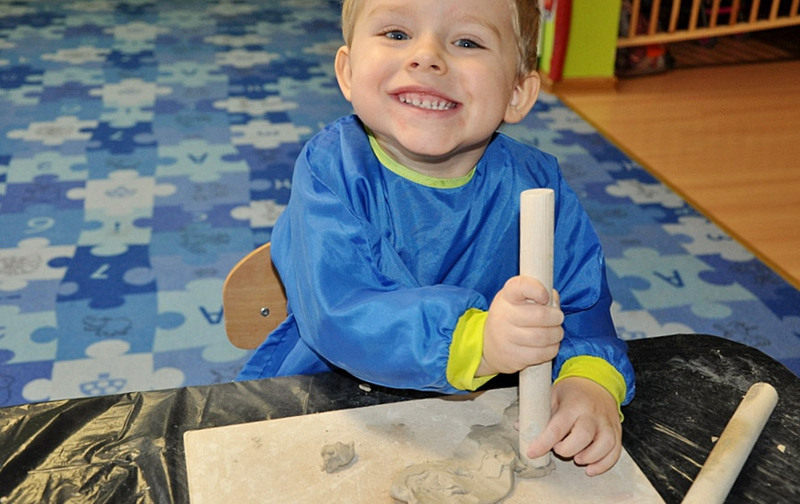 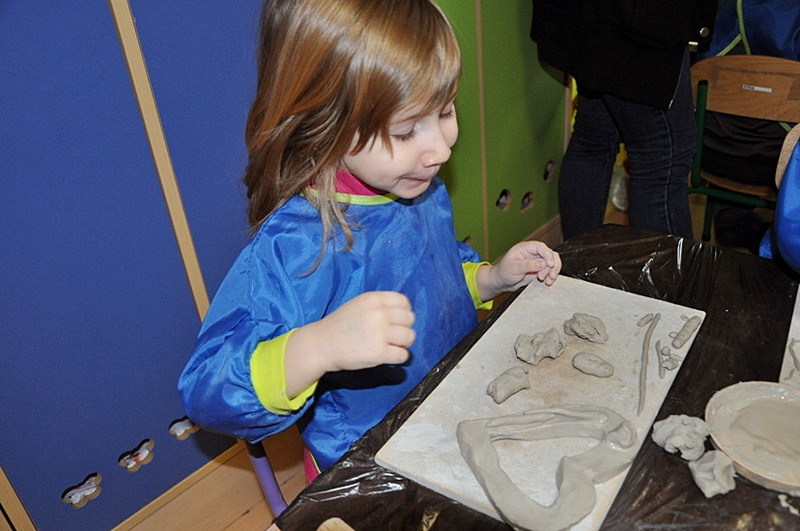 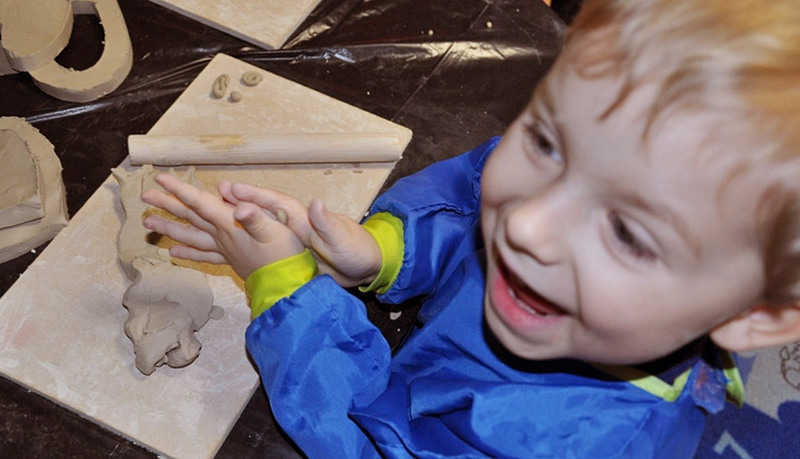 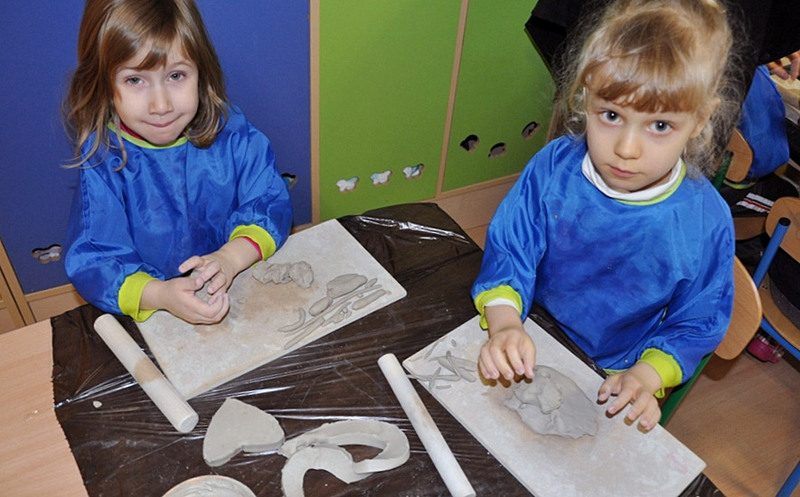 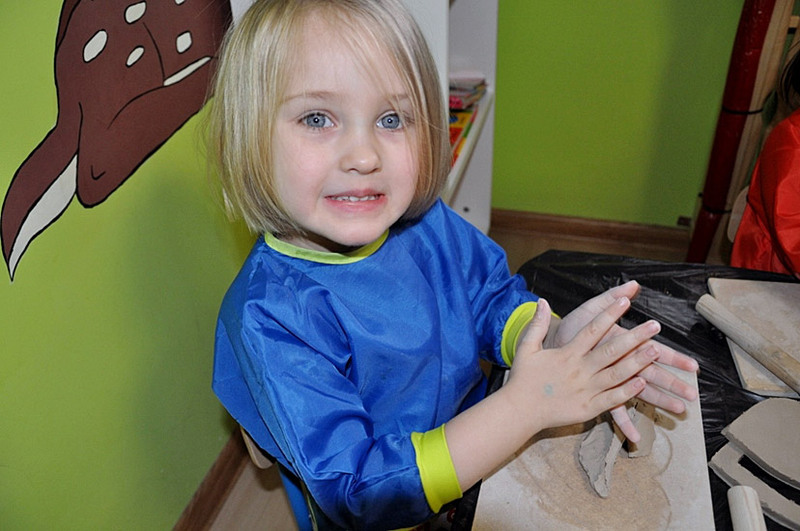 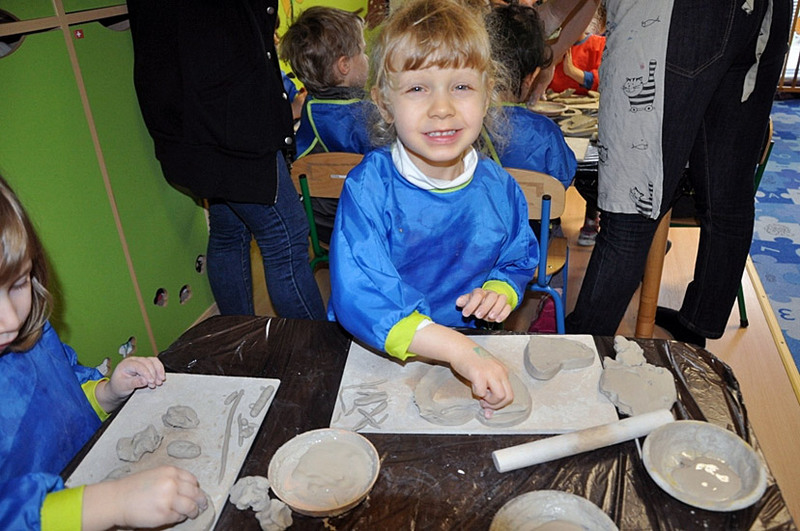 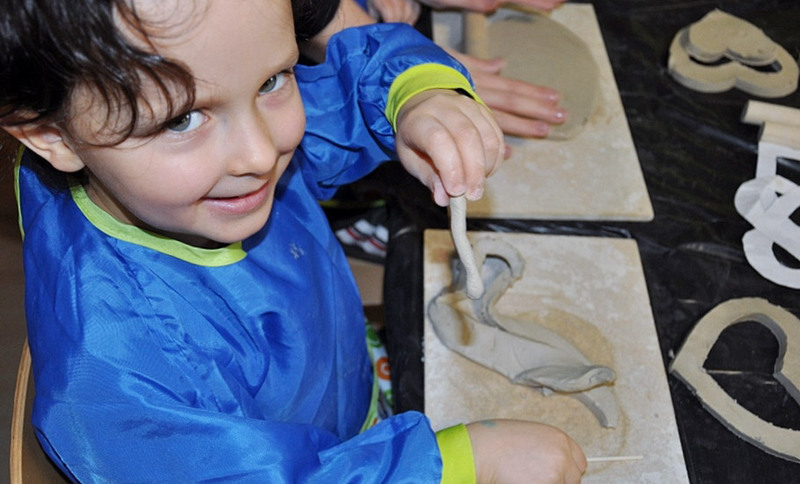 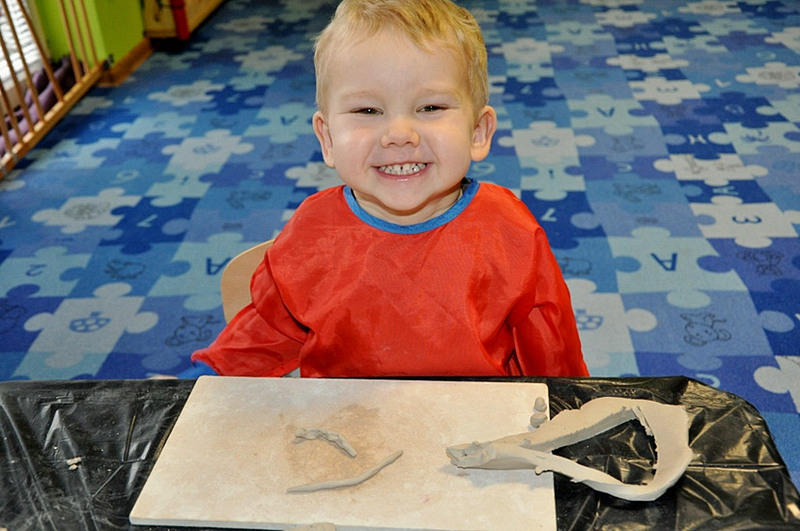 The ceramics activity allows children to explore their creativity, it activates and develops the manual abilities of the hand. 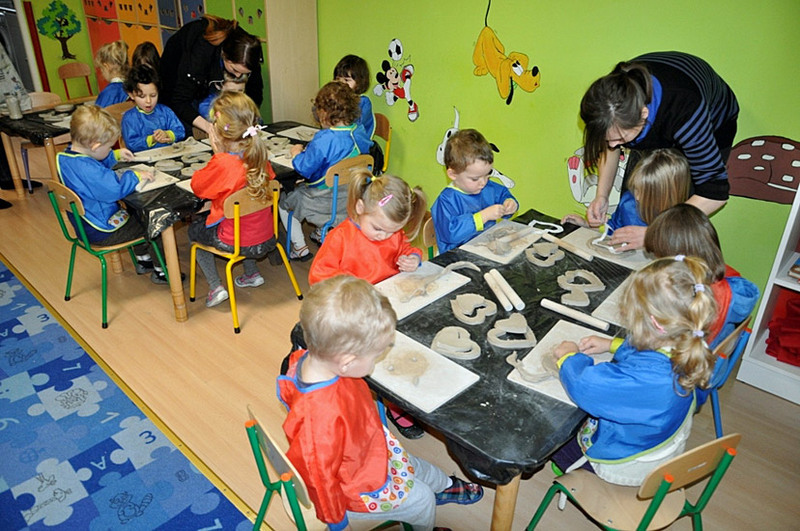 The lesson always effect in non-modified compositions of the little artists. 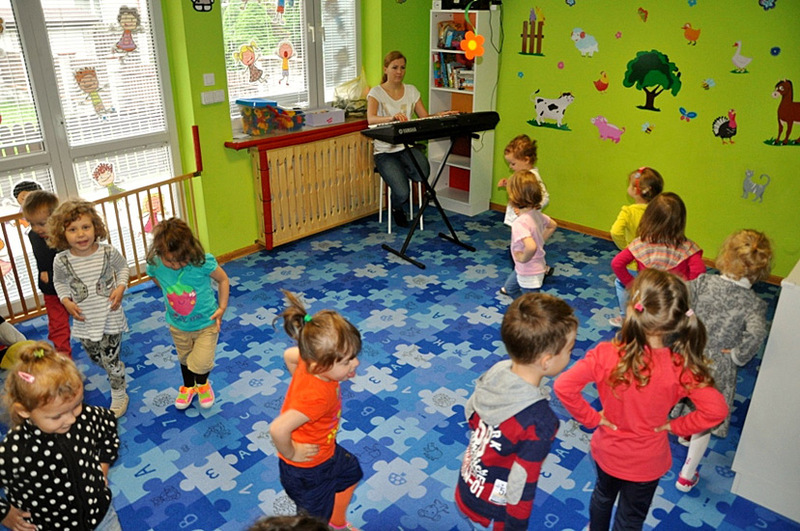 The music and eurhythmics activity is made in English by a music specialist. 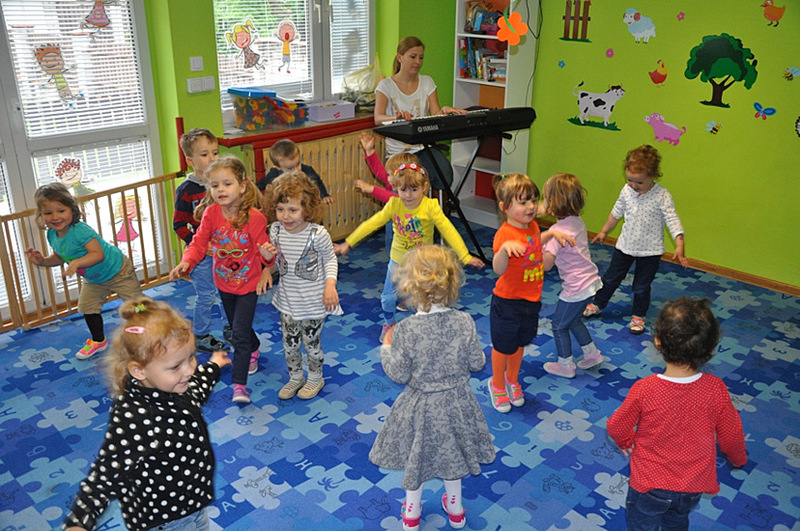 During the music and dance hours, English songs for children are sung while the children dance together, so that they can learn new English words in a natural and joyful way. 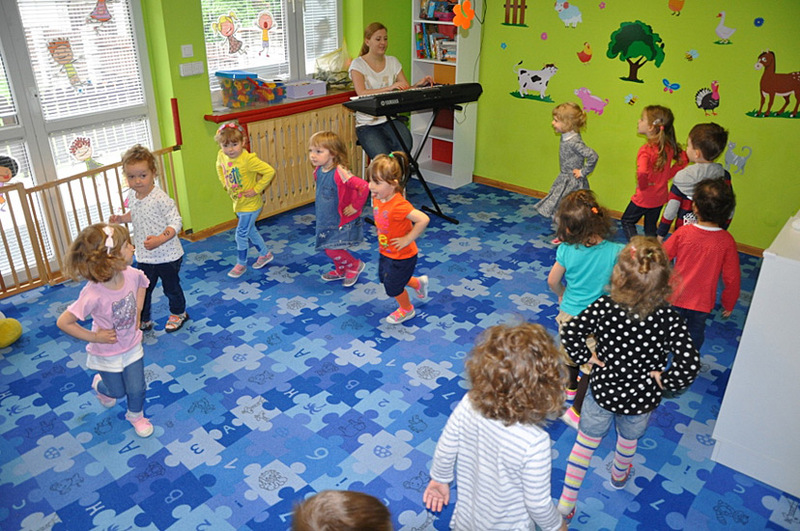 We use a keyboard, guitar and other musical instrument to accompany the songs and moves of the children. 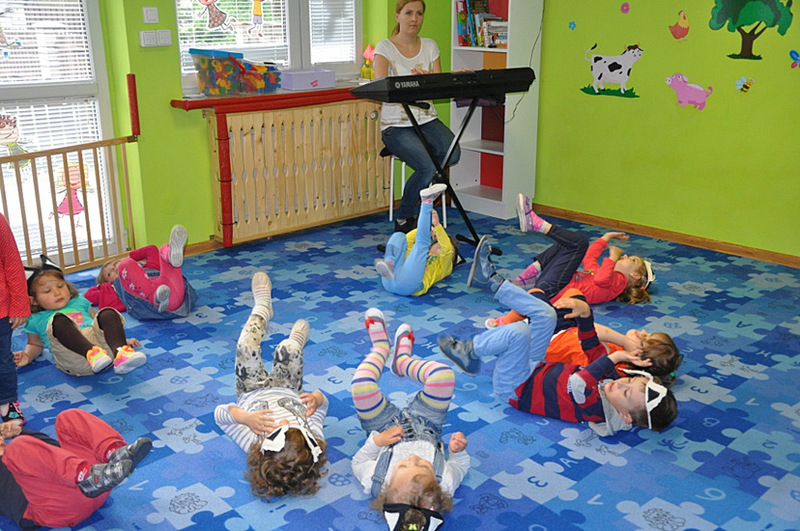 Music activity helps the children to build up their self-esteem to gain control over their bodies. 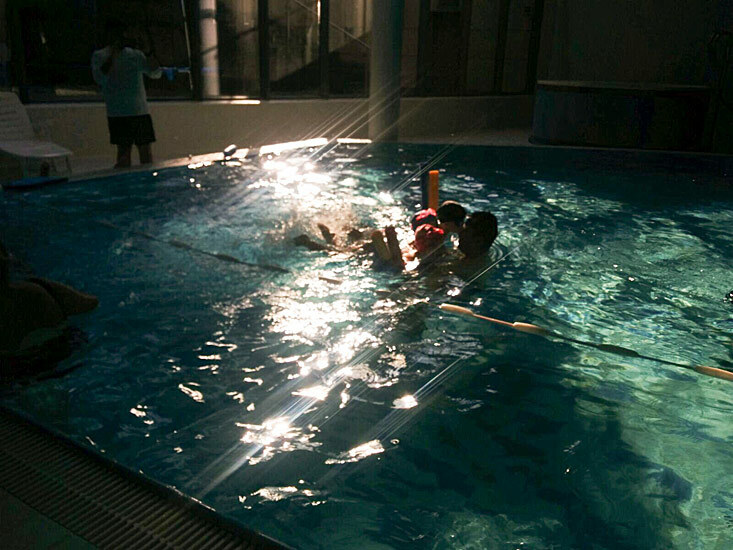 The physical activity is prepared by a rehabilitation specialist. 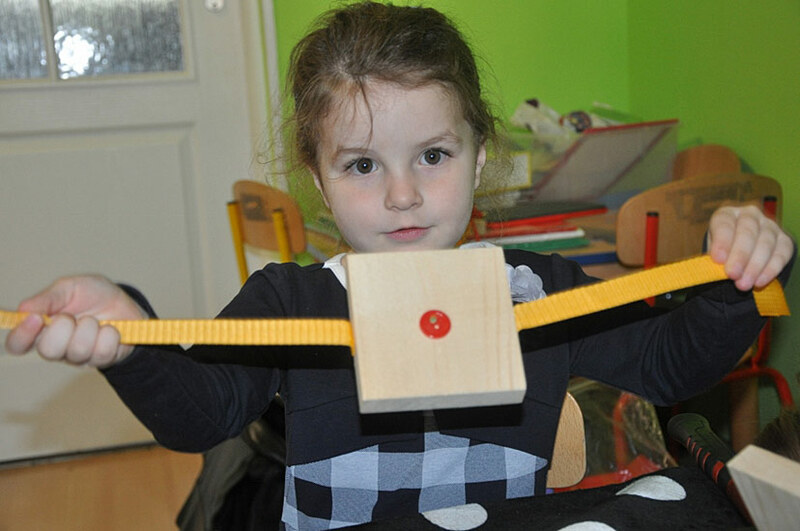 Speeding up the improvement of physical and mental abilities of children. 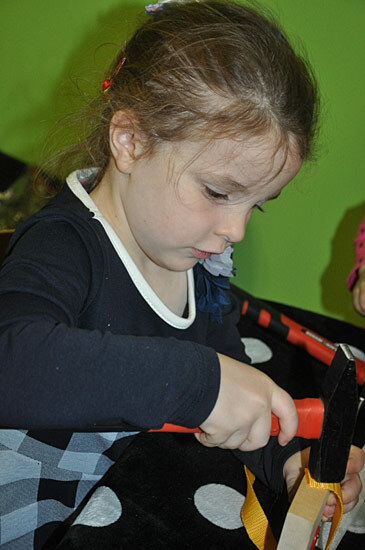 Improvements of joints and muscles. 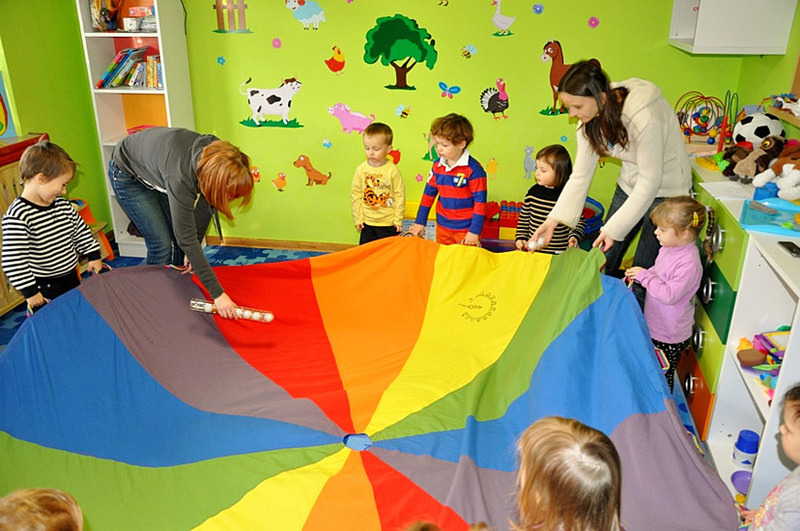 Gymnastics will also help in improving the social aspects of children. 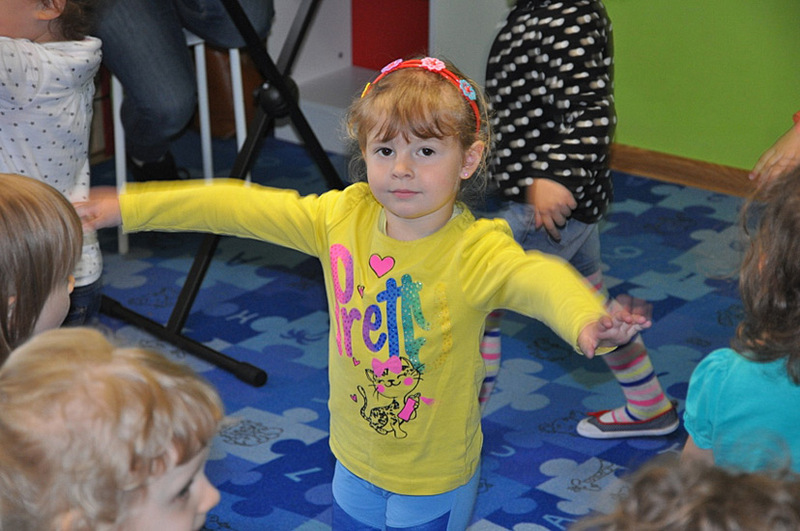 Building up self confidence skills and abilities in the children. 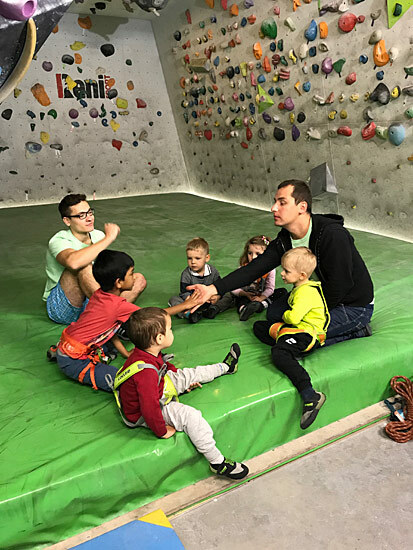 At this stage of childhood, such exercises are very important for the development of body muscles, since it is important during the early childhood to adopt sports as a lifestyle. 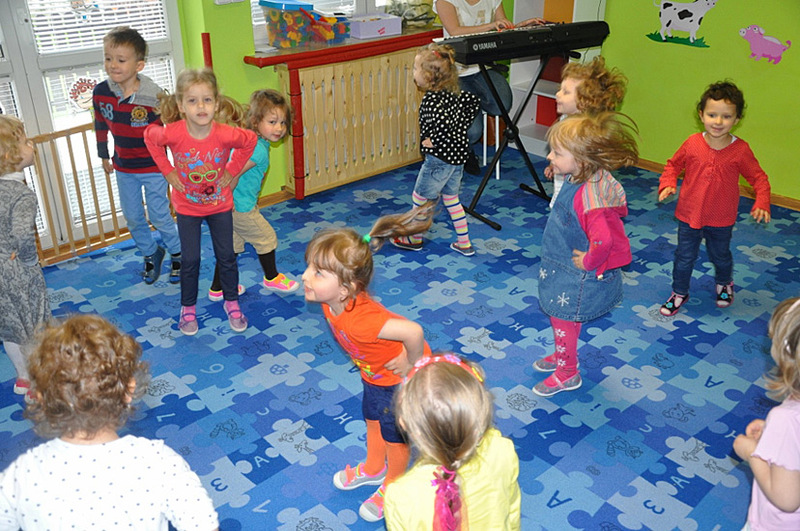 The children who start to play exercises at this stage are proven to increase their self–esteem and success at the school. 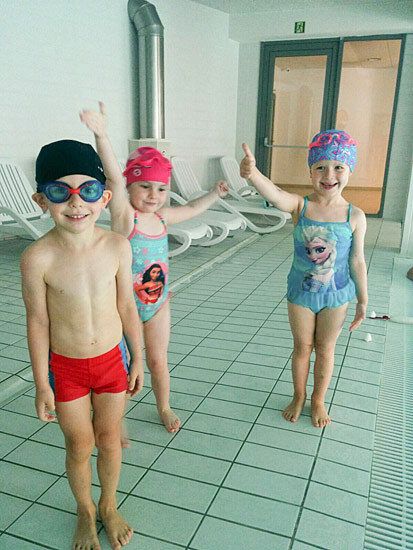 It is very important for our children’s bodies to be kept healthy and in good shape. 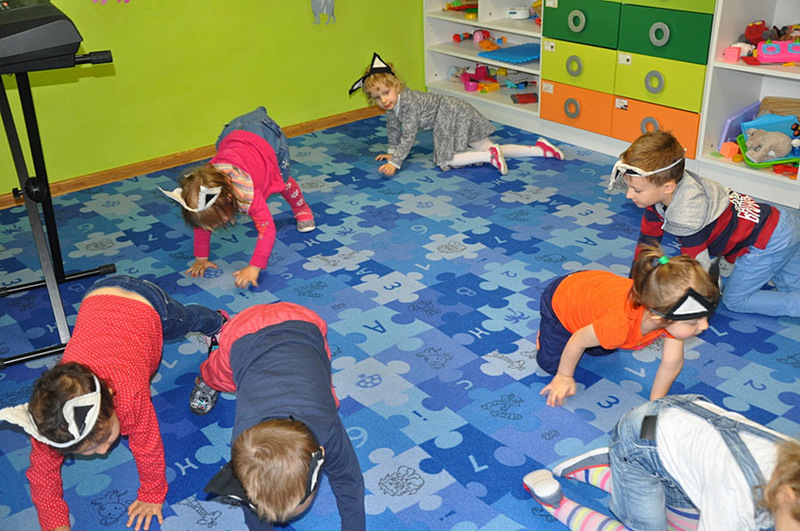 We also pay a lot of attention to our children’s sitting position, so that it will be always the right sitting method. 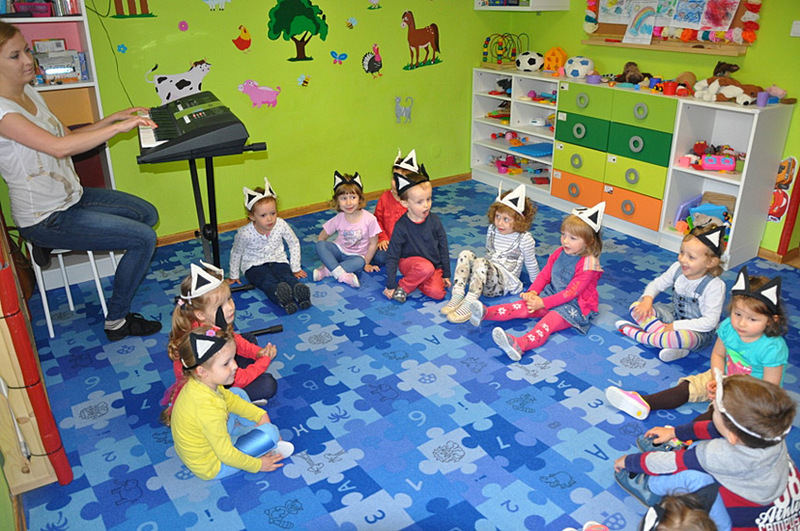 During the examination and observation the speech therapist analyses the cognitive function of the child that later has huge emphasis on the language and speech development. 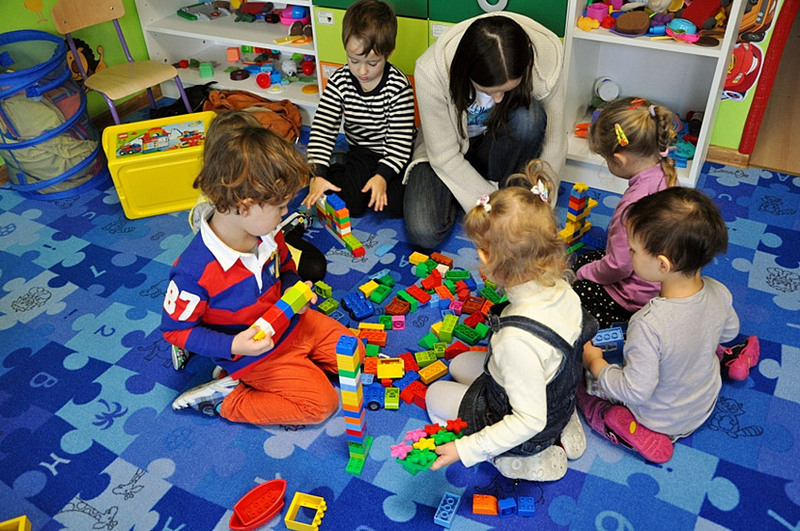 All of these are crucial for the child to develop his language skills. 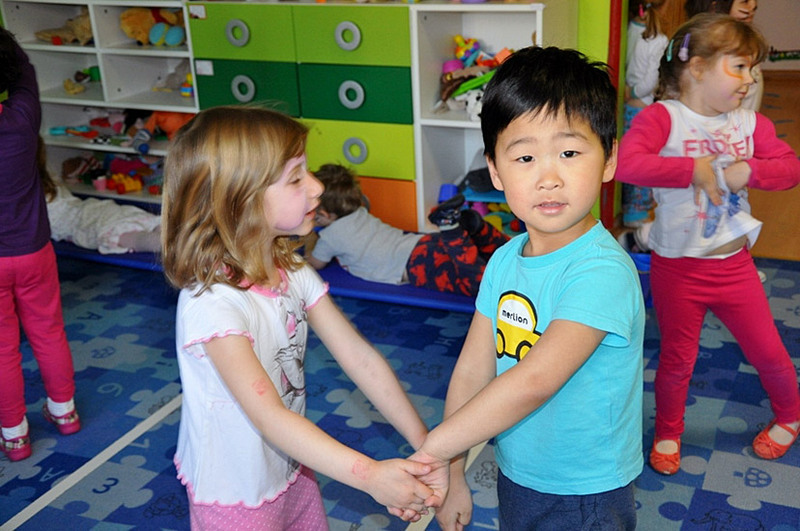 Language and speech are the key tools to explore and learn the world and to become a part of it as a social being. 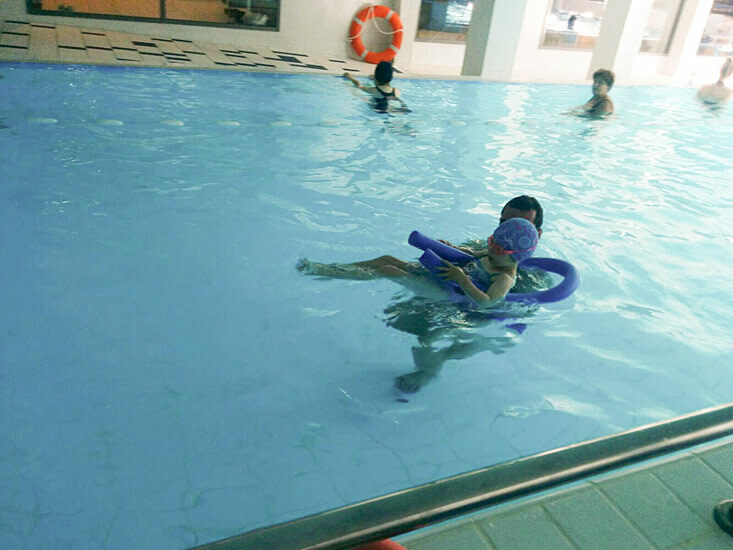 It helps to adopt adapting to new environments. 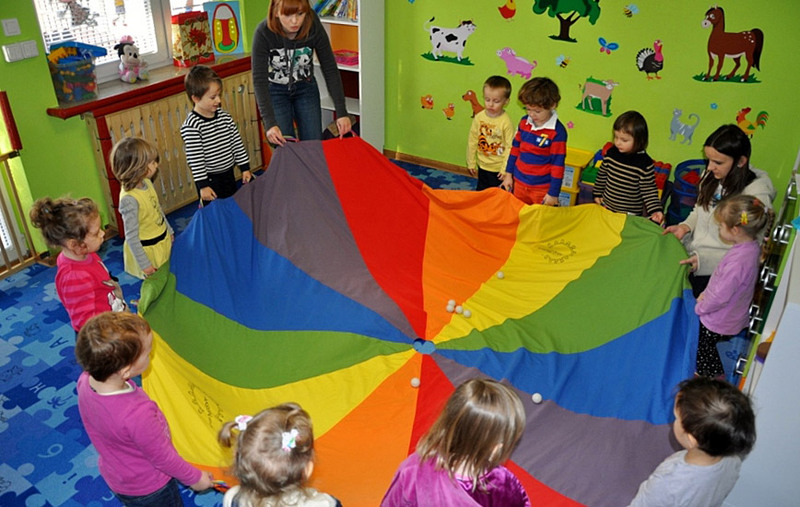 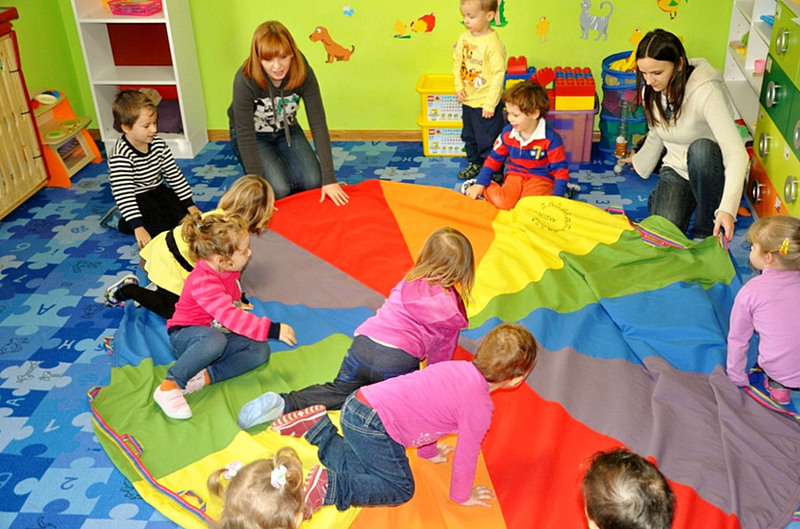 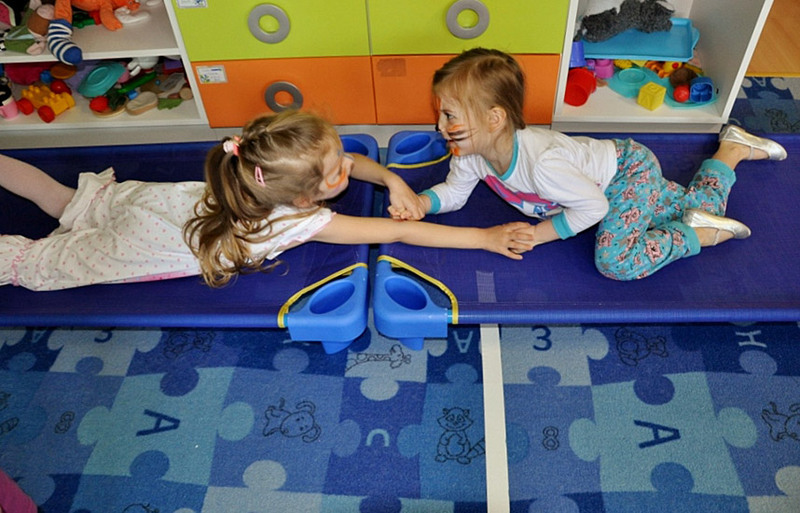 The Speech Therapist organizes group activities as well. 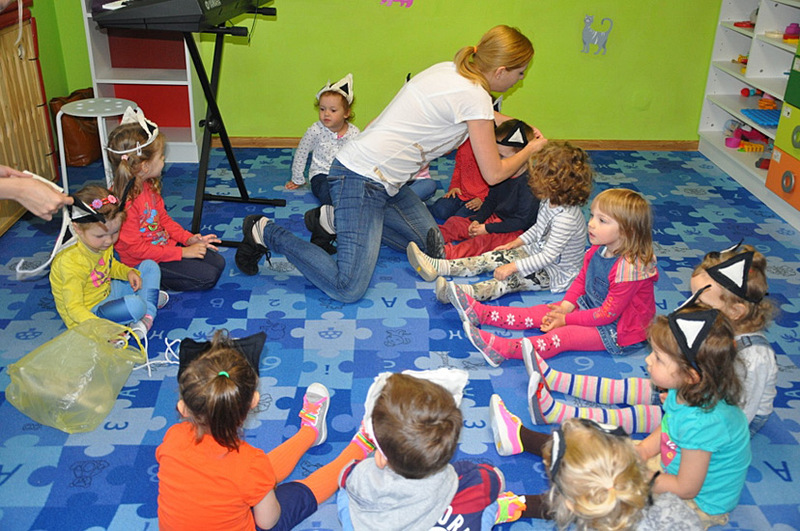 There is also a possibility to have individual speech therapy for the children in our Preschool with our speech therapist. 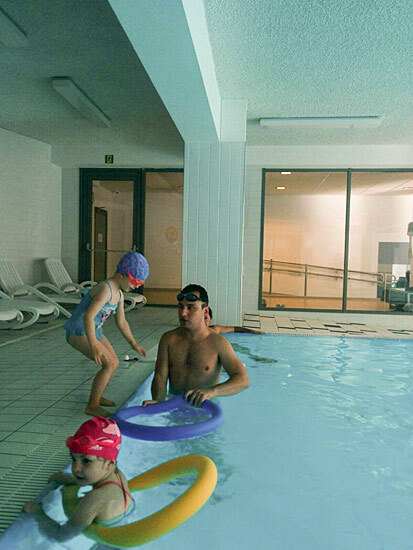 The therapy takes place in a special room suitable for this kind of individual activity. 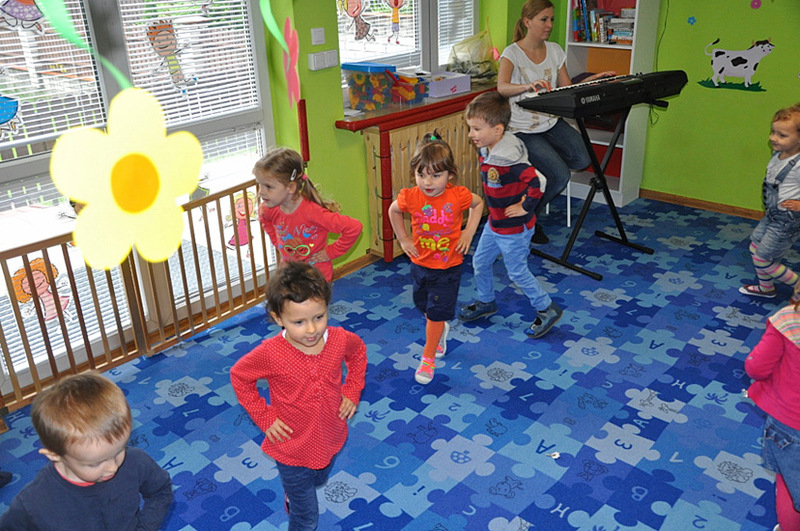 During the activity children play together with their peers. 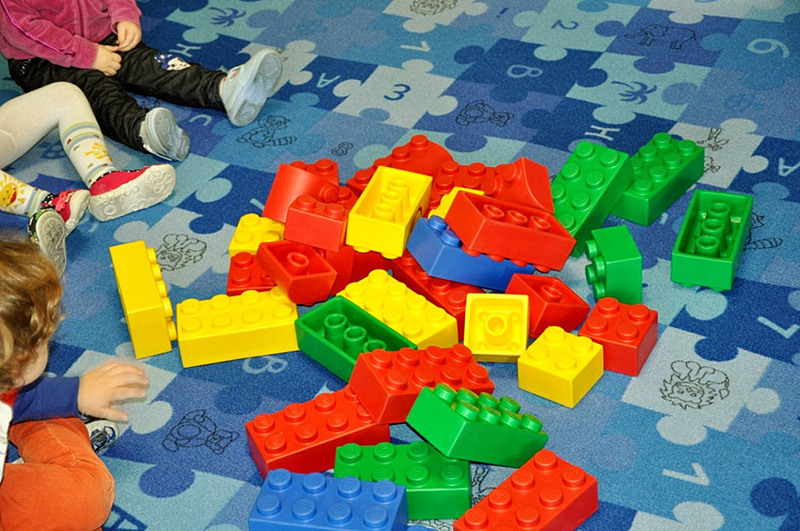 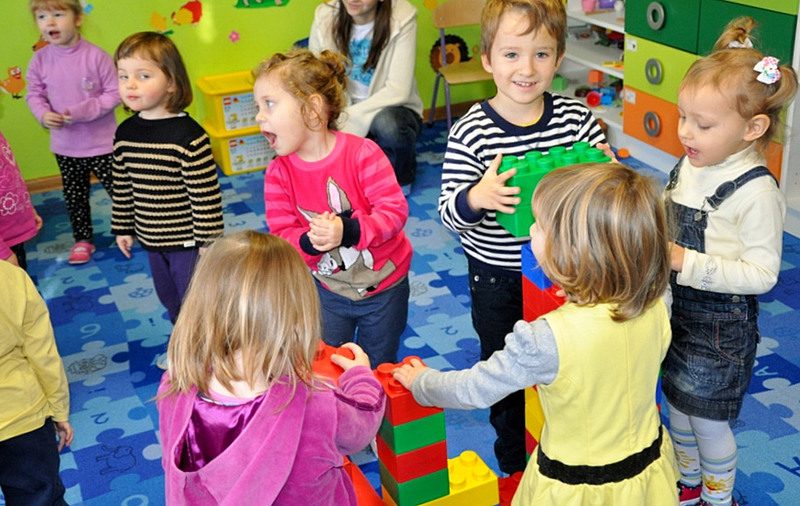 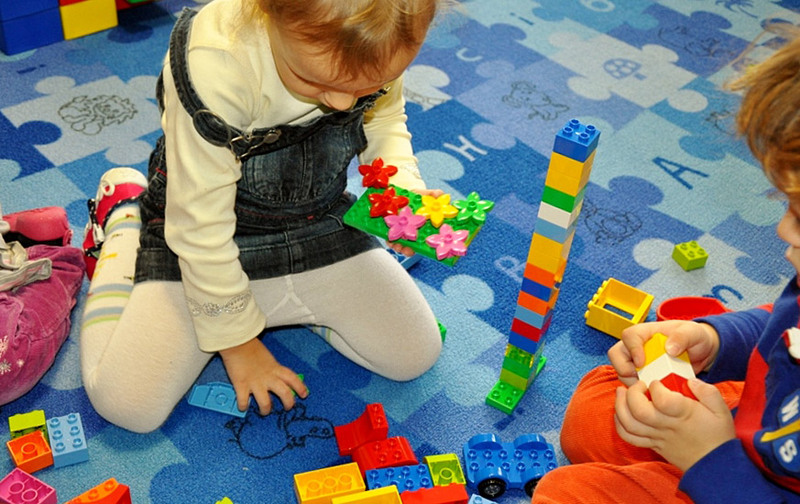 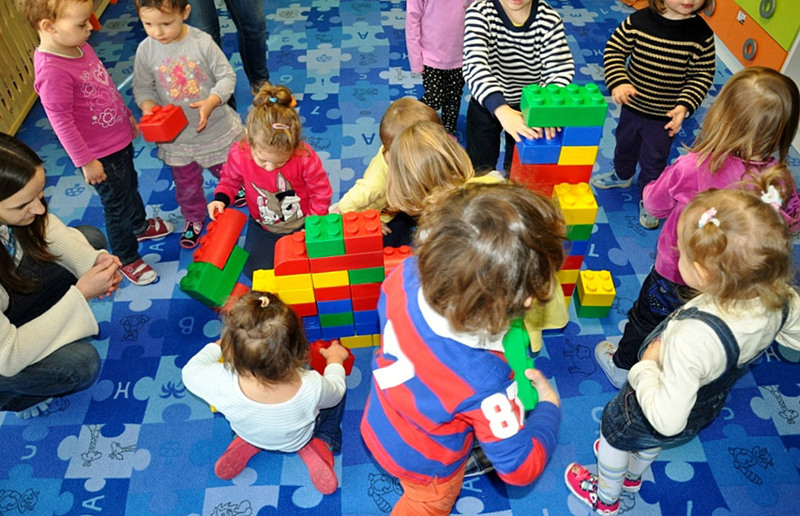 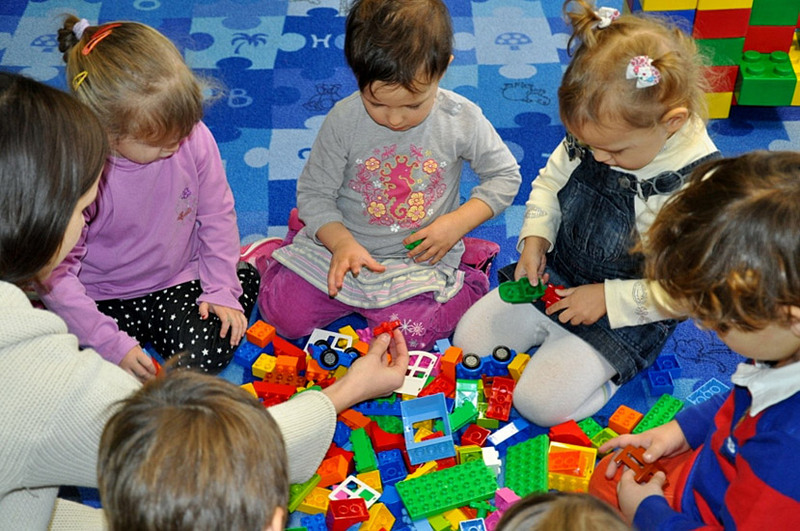 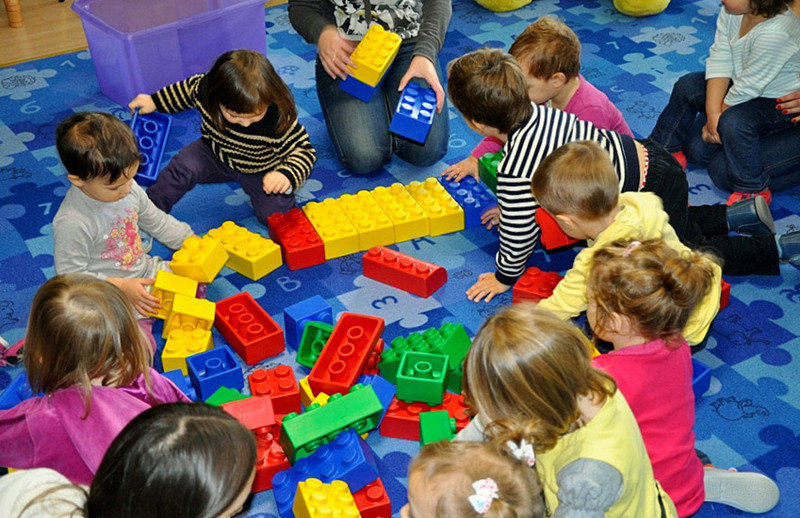 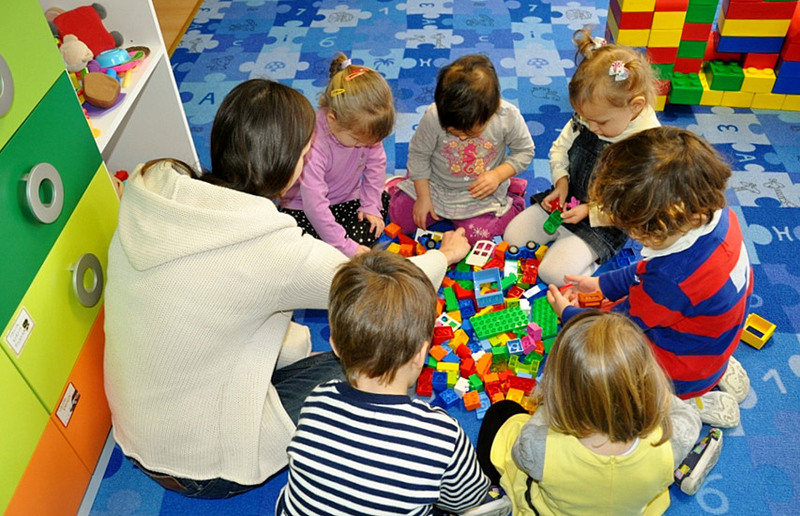 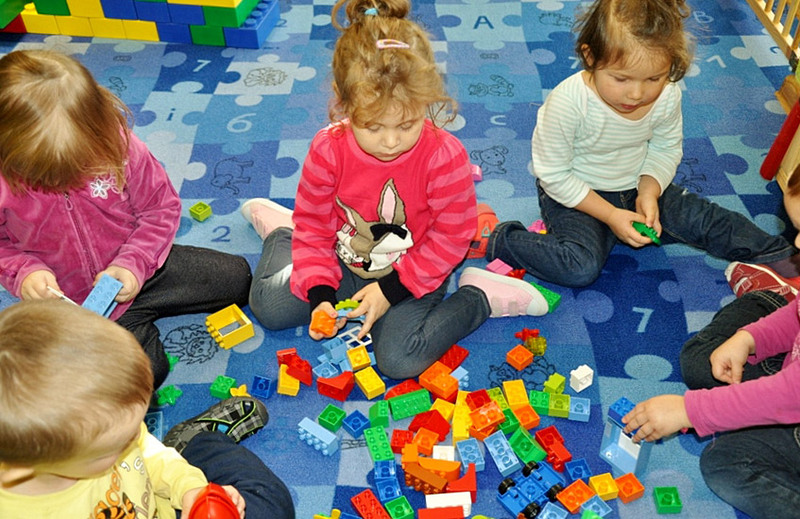 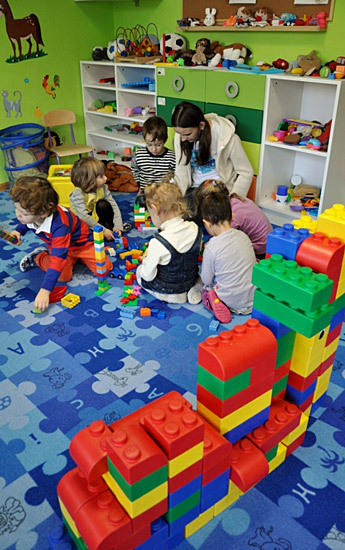 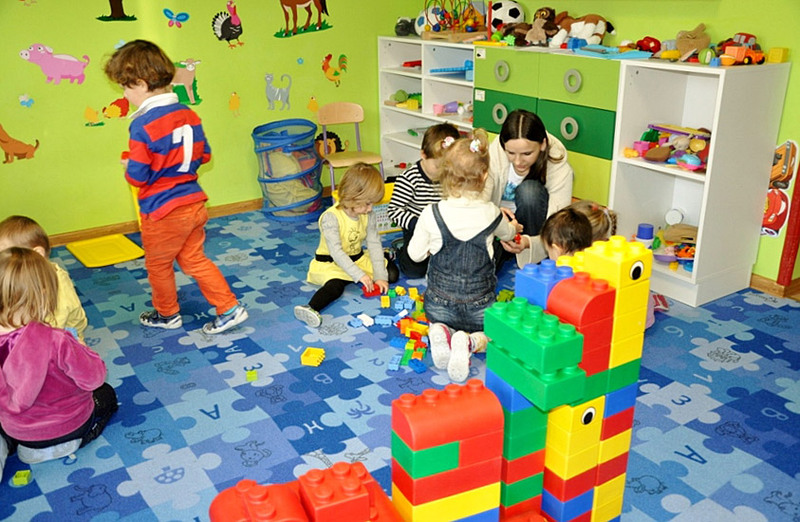 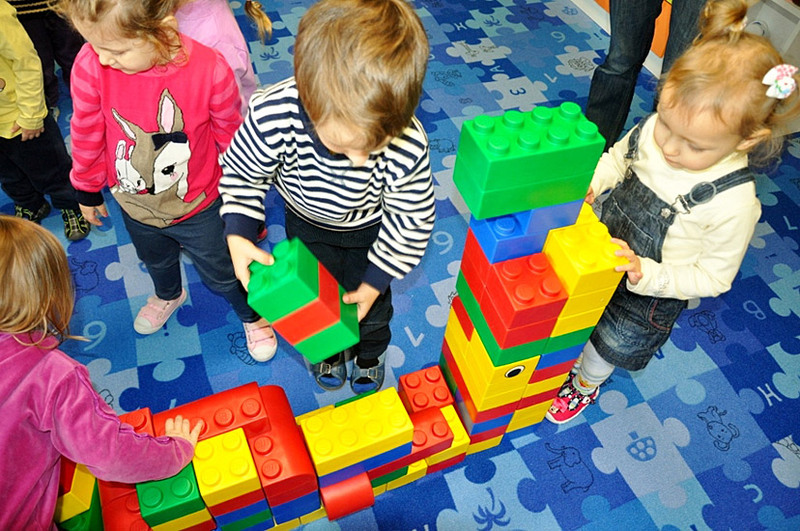 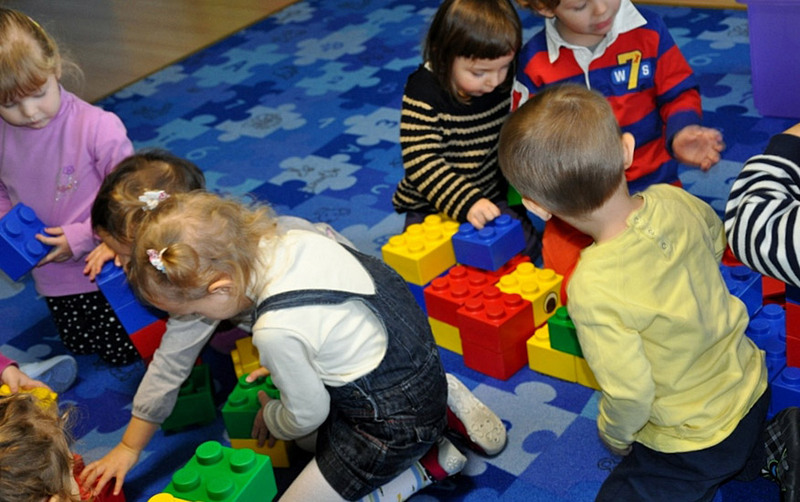 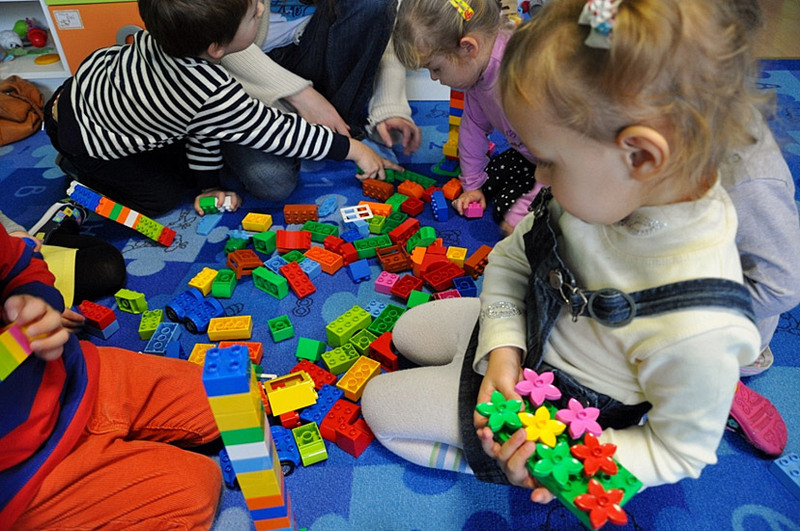 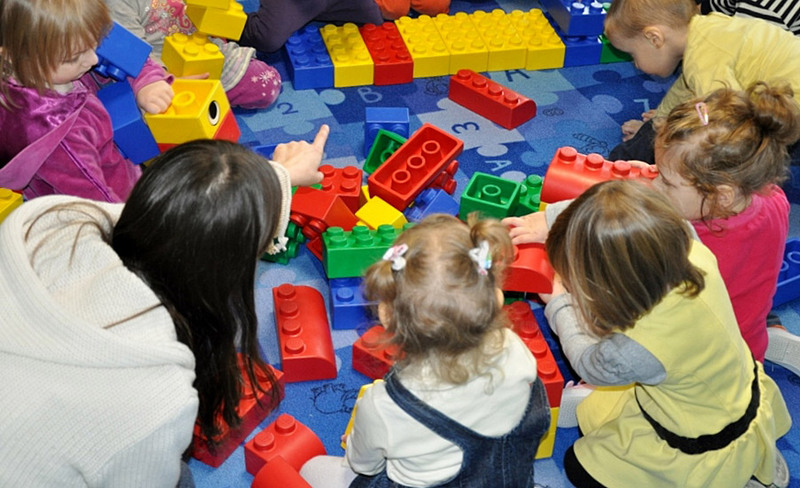 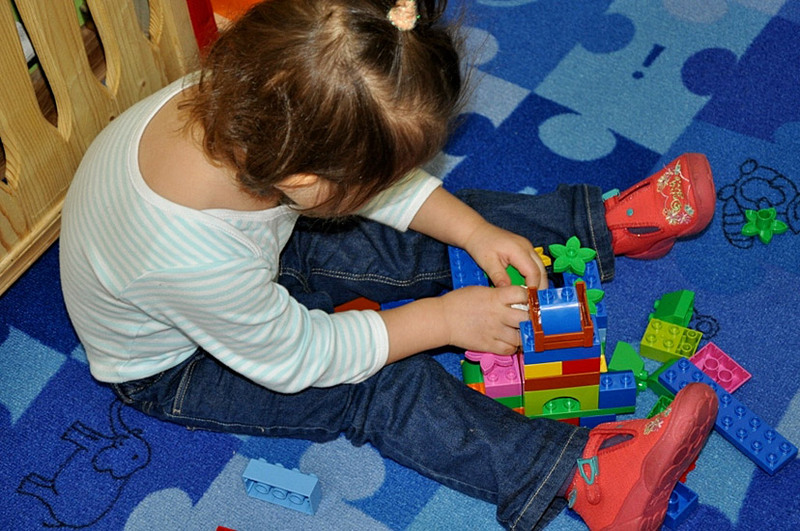 Using LEGO DUPLO and LEGO SOFT and other objects children can create their own buildings, practice manual skills and develop creativity, imagination, coordination of all senses. 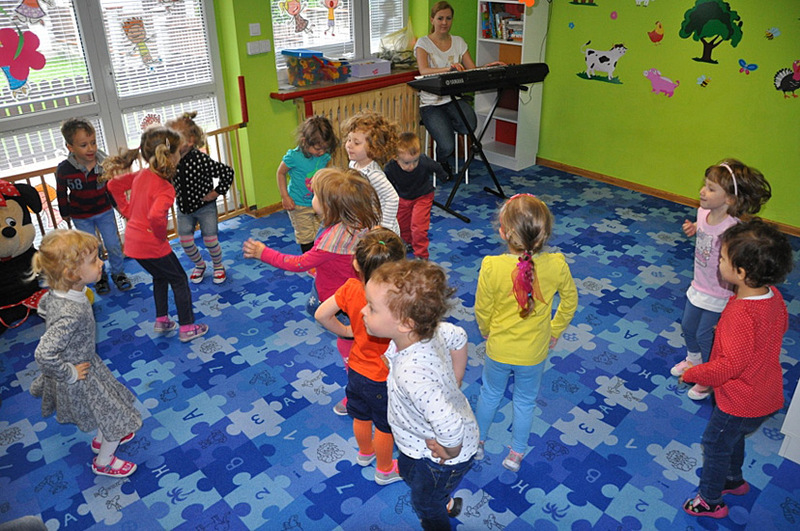 They will also be using music and movement during the activity. 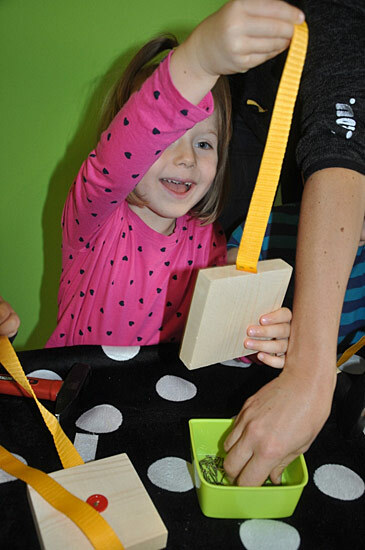 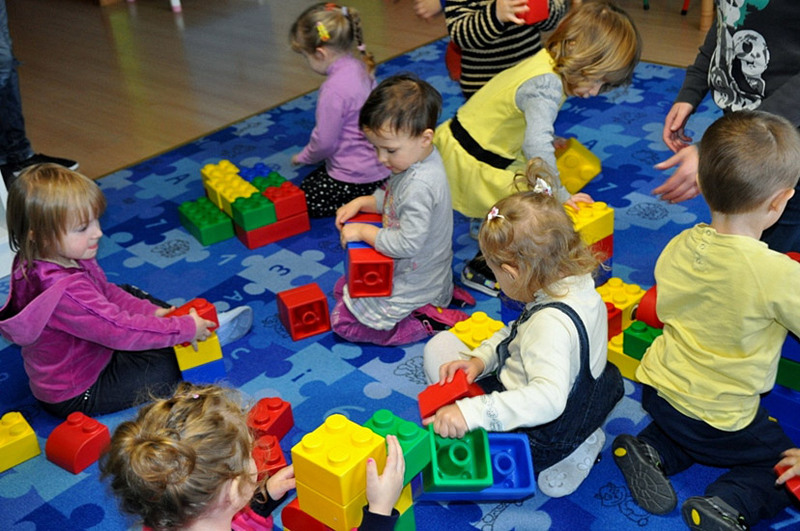 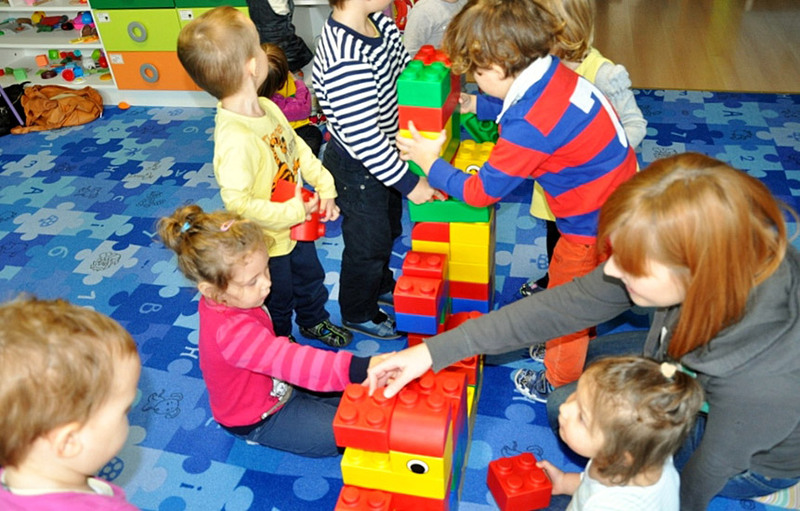 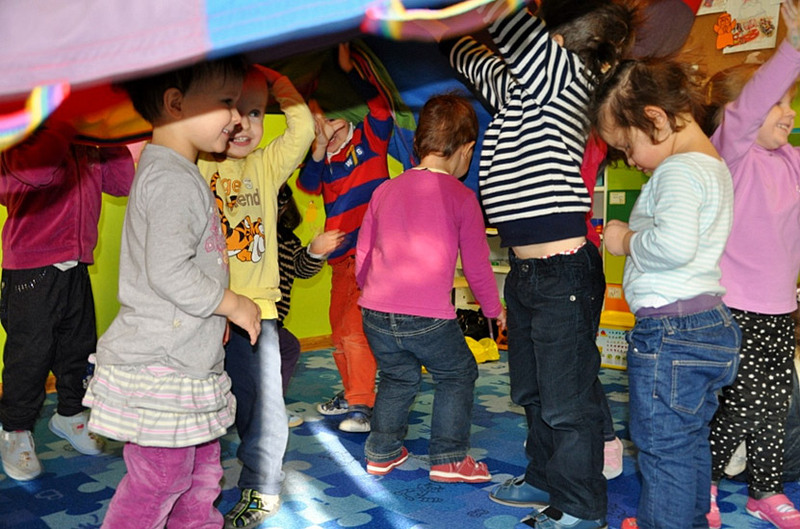 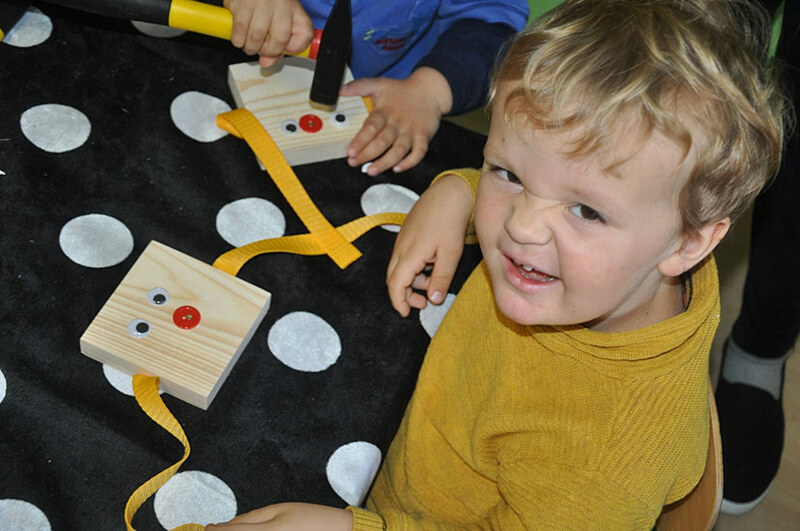 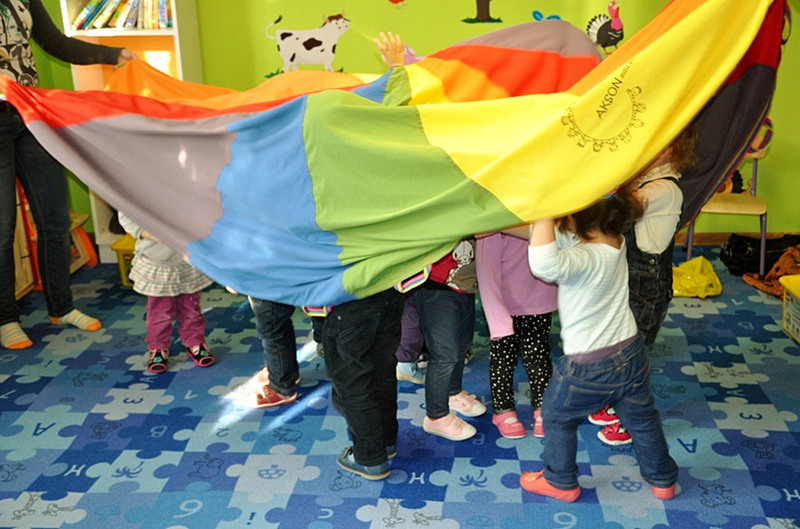 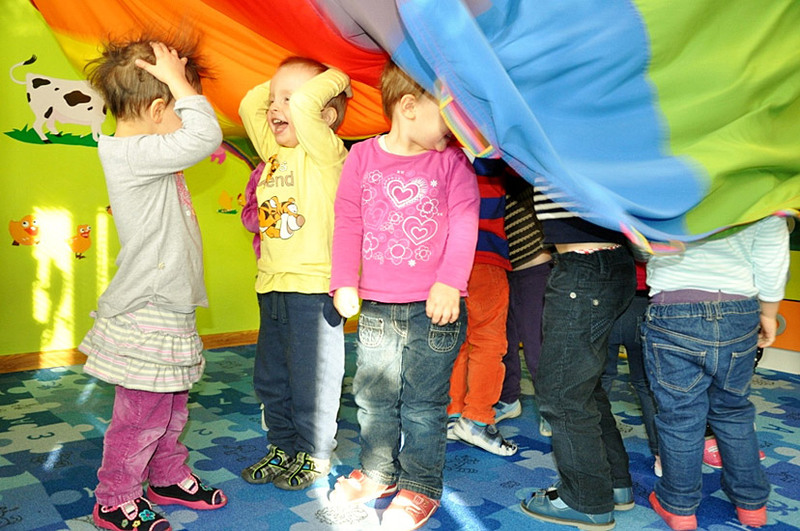 The creative Duplo Activity with music and play will be a good chance for the children to experience new things by using all senses, to develop their skills and to cooperate in the group. 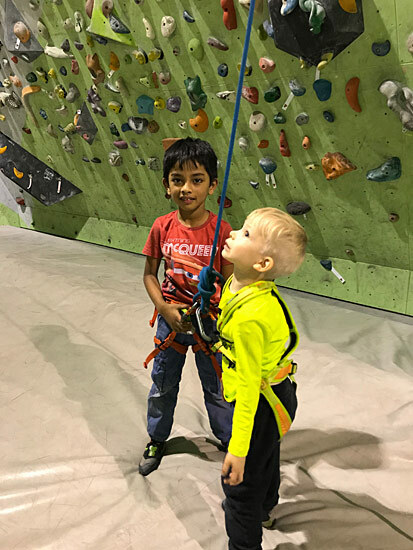 Explorers’ Academy Activity gives the opportunity for the children to learn through experience that they are active at. 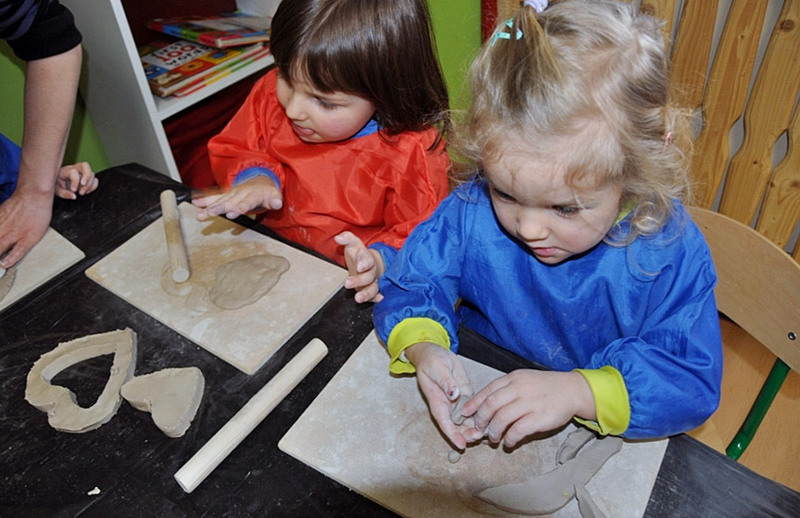 The program of safe science experiences is set to develop children’s creativity and thinking – it is the beginning for other new actions. 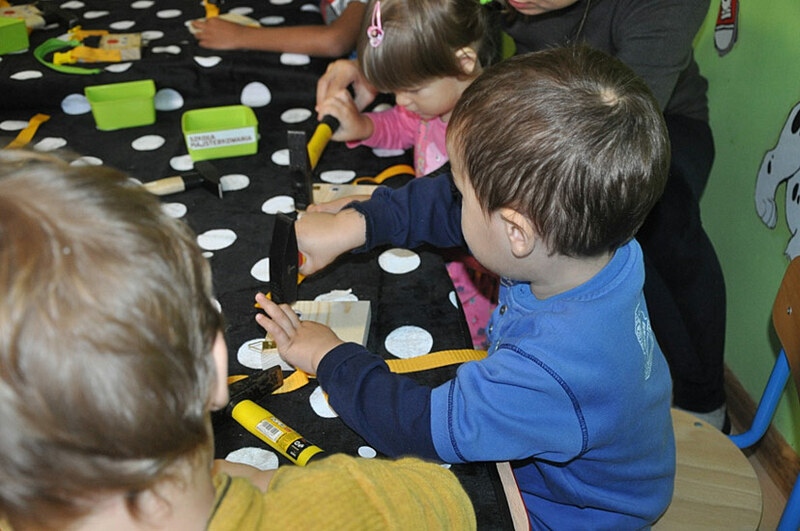 The science experiences are adjusted to the small explorers’ capacity and they let children understand the surrounding world better. 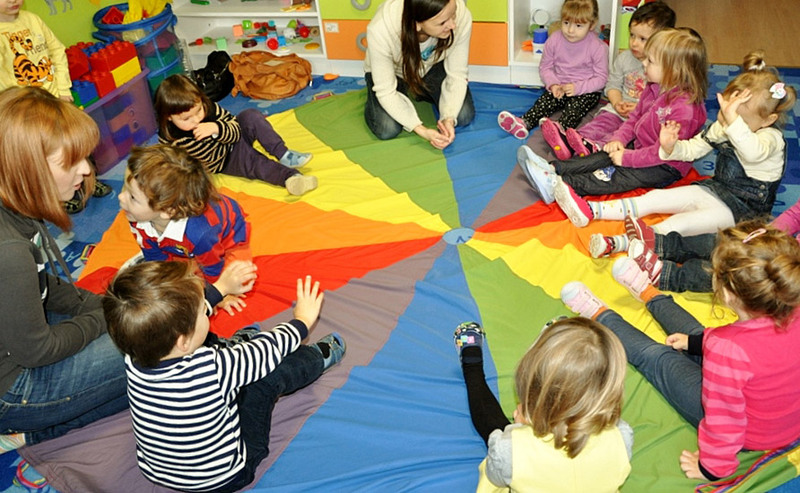 The ability to ask questions and looking for answers during the activity builds up the self-esteem and creative thinking in children. 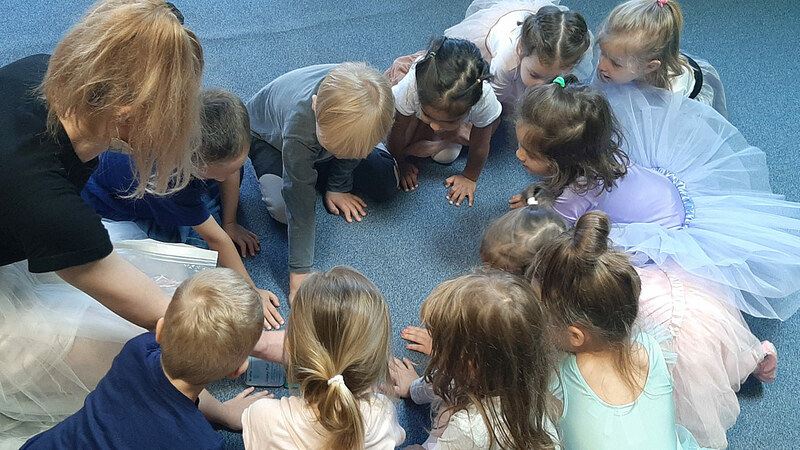 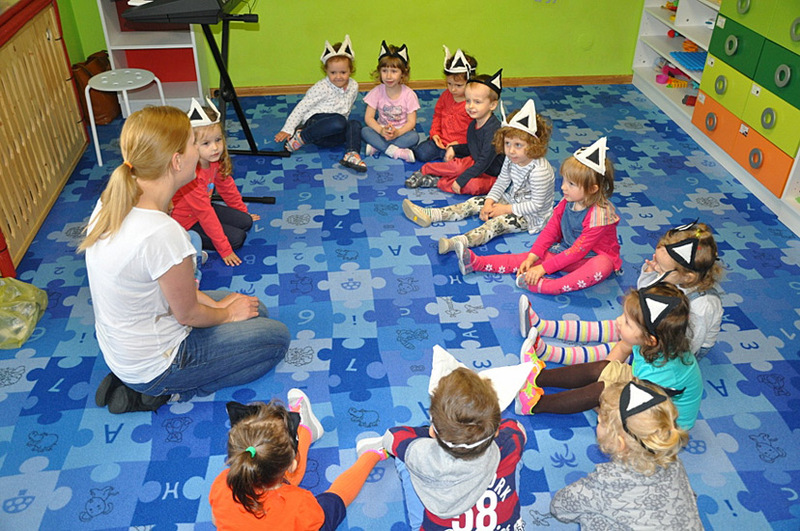 At our preschool we celebrate the birthdays of all our children. 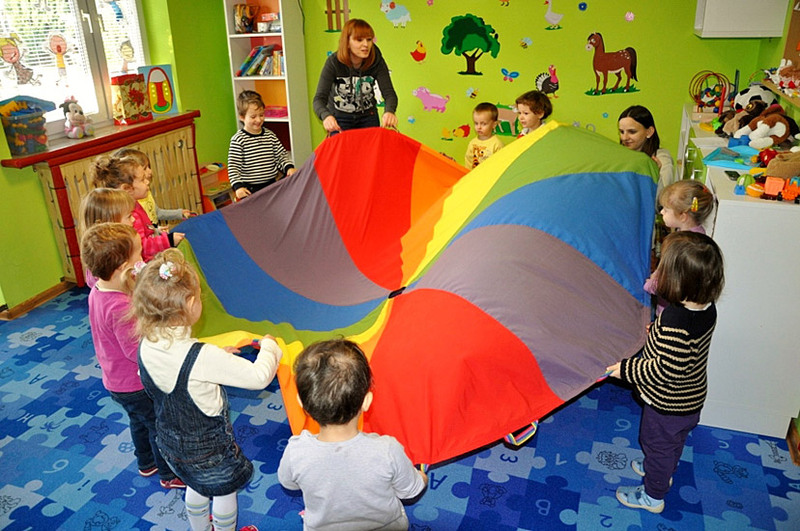 During the birthday celebration, children play with their friends surrounded by balloons and beautiful birthday decorations. 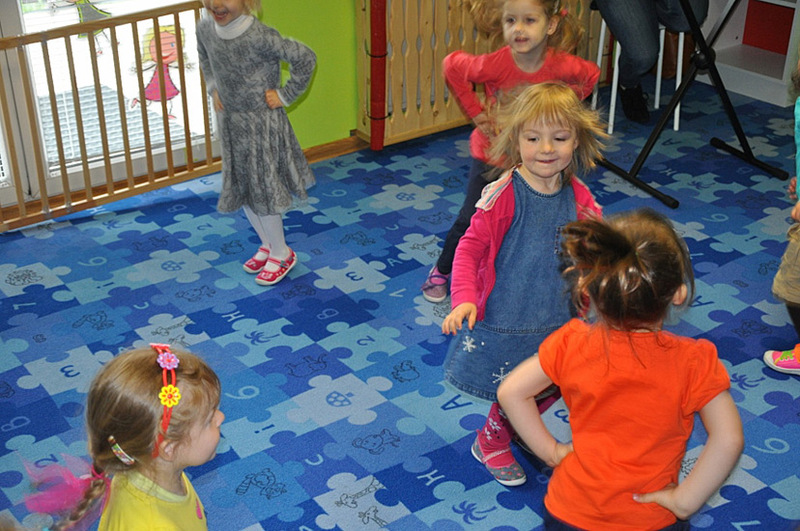 We prepare birthday cake for the birthday child, we dance and play together. 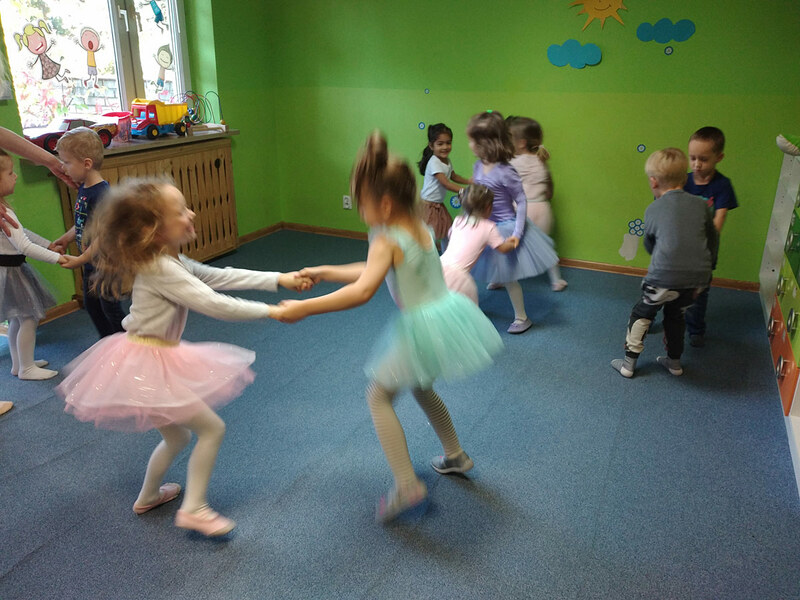 With this way of celebrating birthdays, the child will feel his/her importance and value, at the same time children will spend this special and beautiful day along with their beloved ones happily. 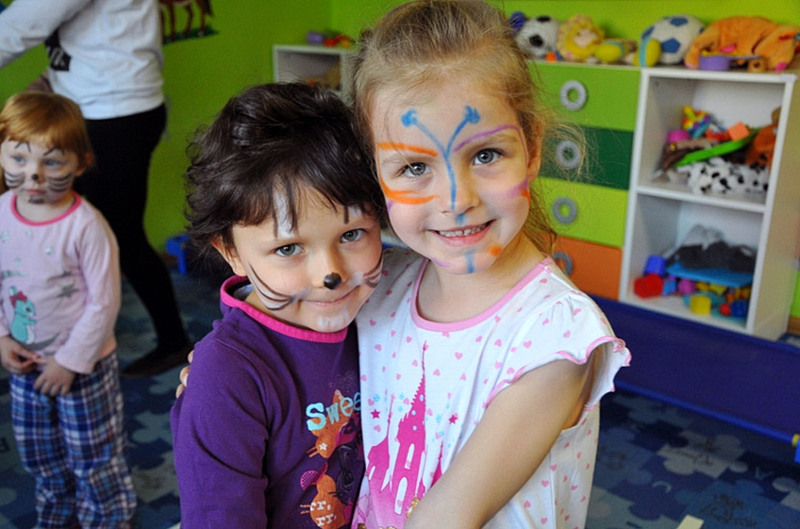 Such days will help in connecting children with each other and to share the beautiful moments together. 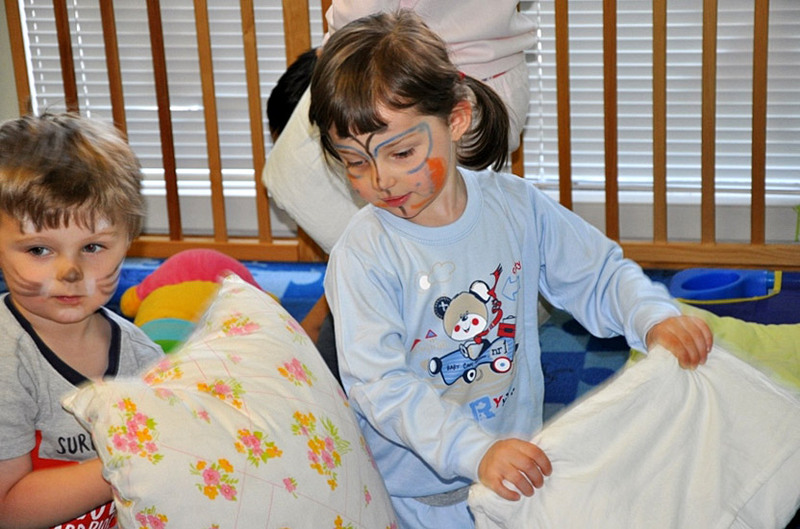 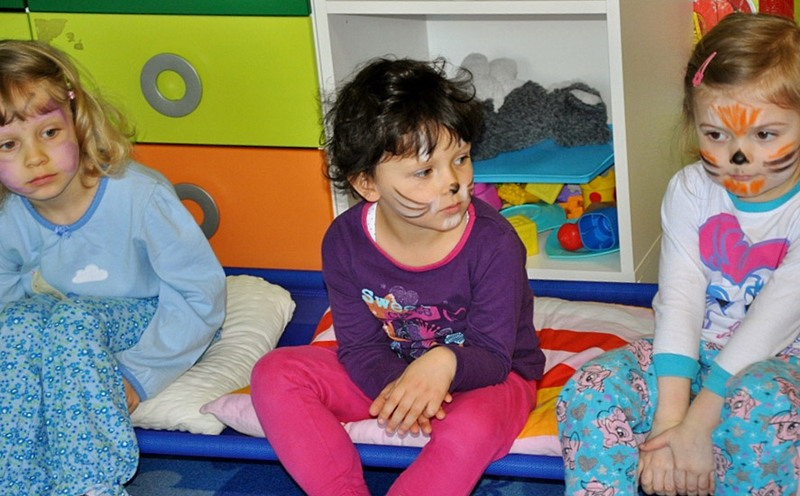 Once every month, we arrange a pyjama party where the children bring their own pyjamas that they wear at home, at a previously determined hour we bring the beds to the Play Room which will be beautifully decorated with balloons. 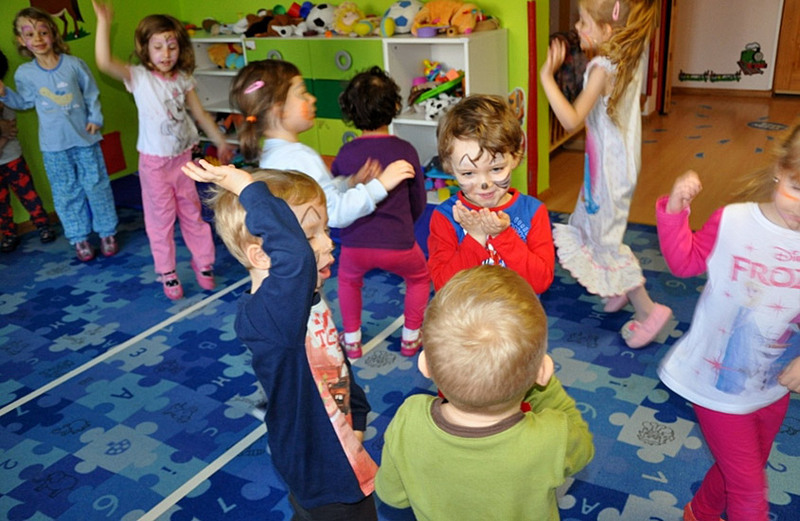 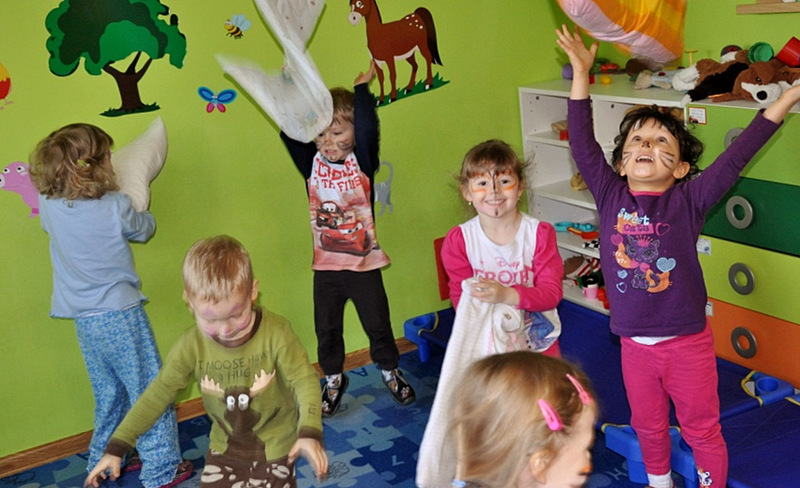 Our teachers will tell them stories and sing songs and dance together, so that children will feel much happier. 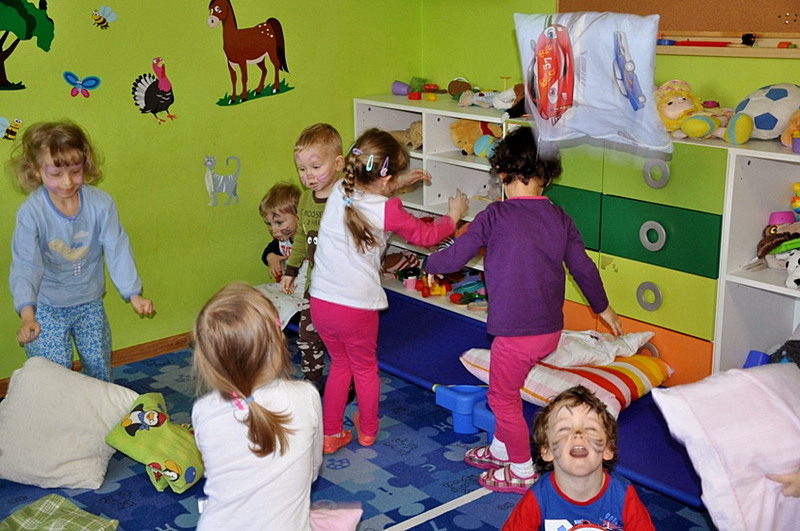 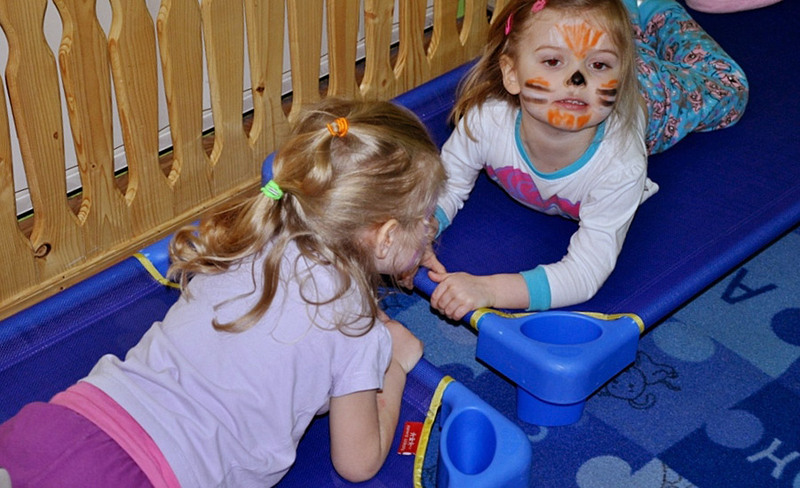 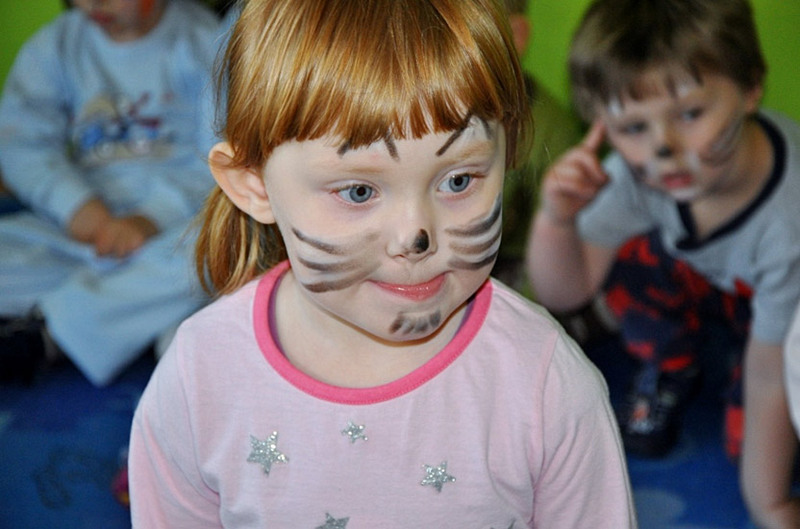 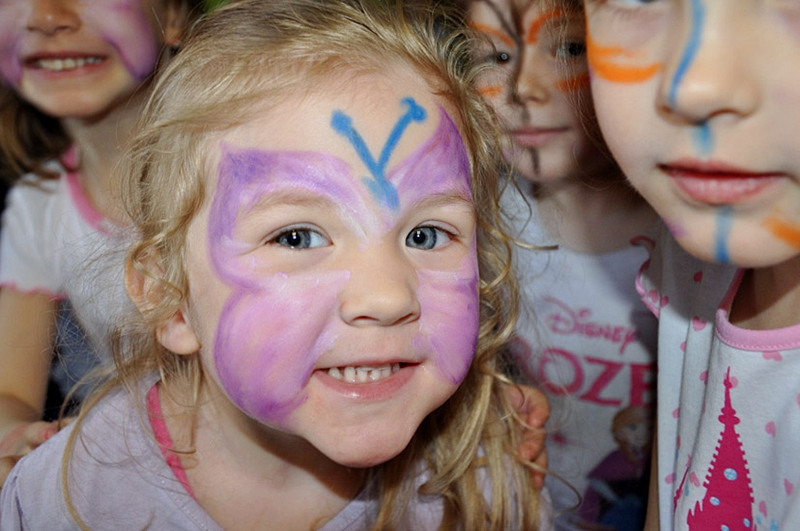 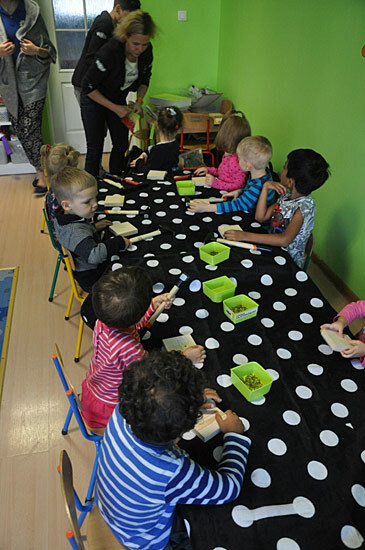 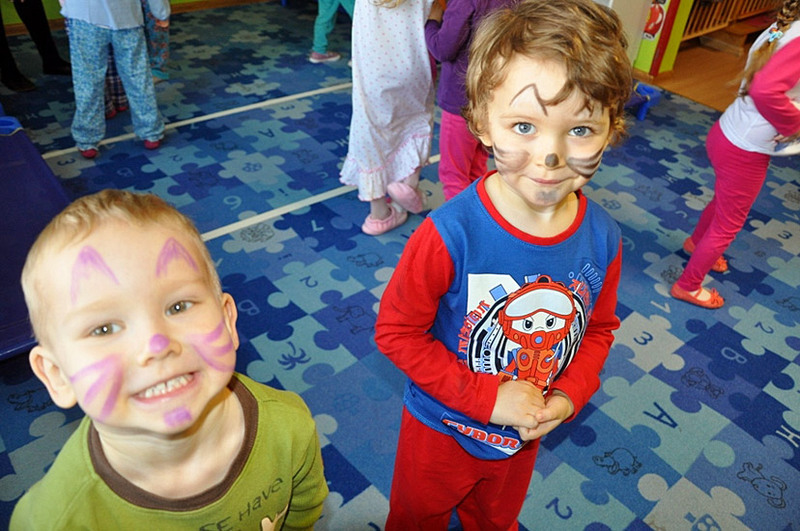 Preschool also organizes parties and events for children like: Halloween, Fancy Dress Ball etc.